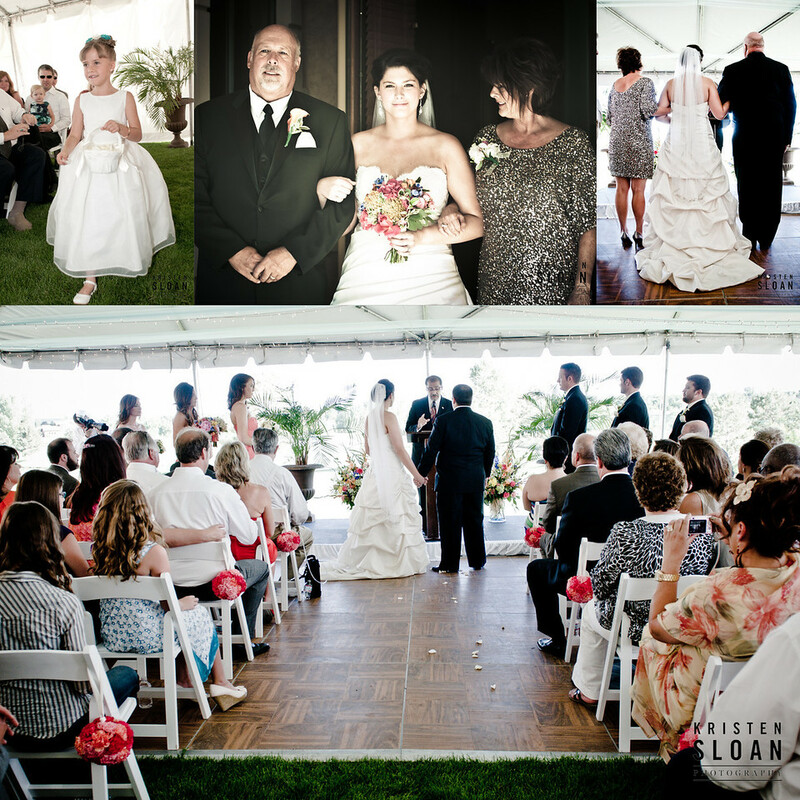 The Johns family traveled to West Bradenton Florida over the Christmas holiday for a family reunion. 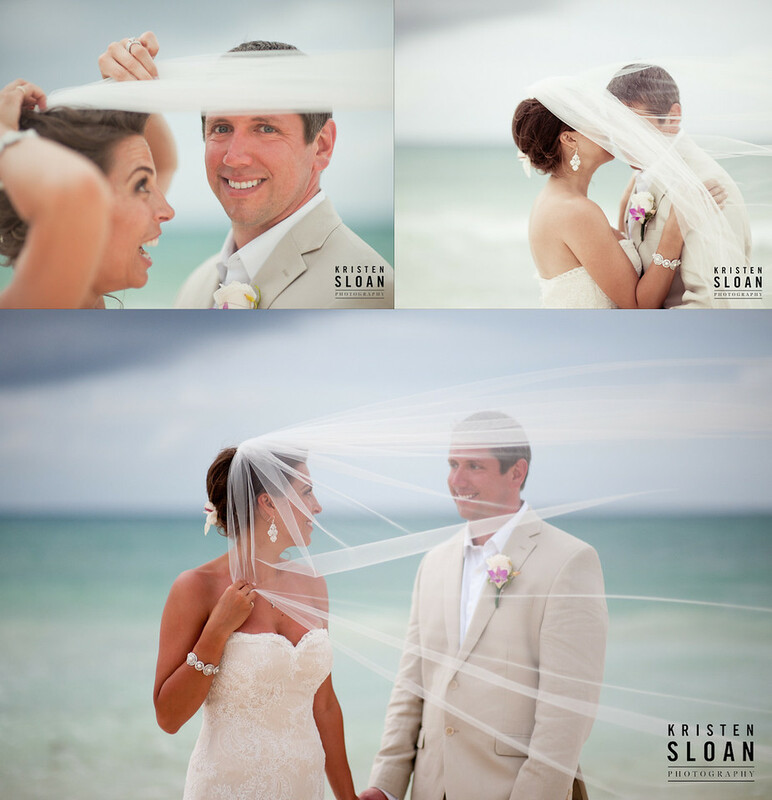 They asked me to photograph their extended family in Longboat Key, a beautiful section of the Sarasota Bradenton beaches. 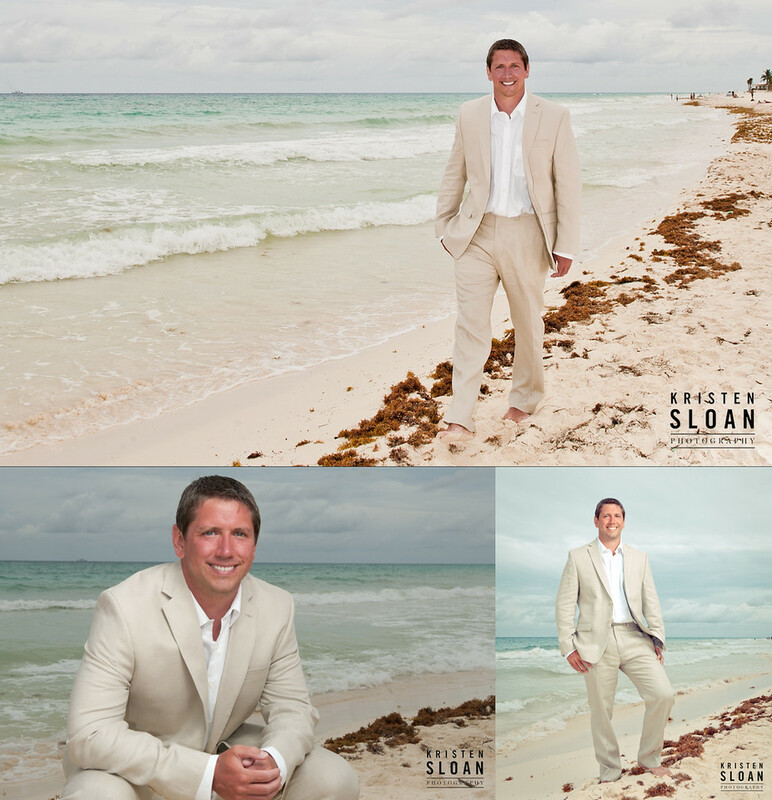 Now is the perfect time to schedule Kristen Sloan to photograph your family portrait session, whether its on the gulf beaches, along the bay in Saint Petersburg or your favorite Tampa Bay urbanscape. 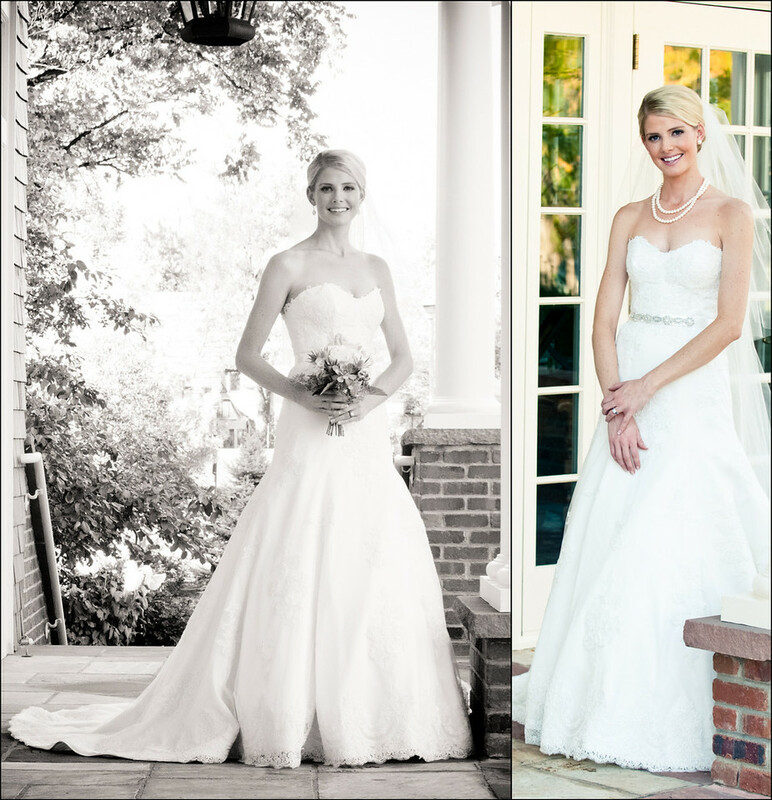 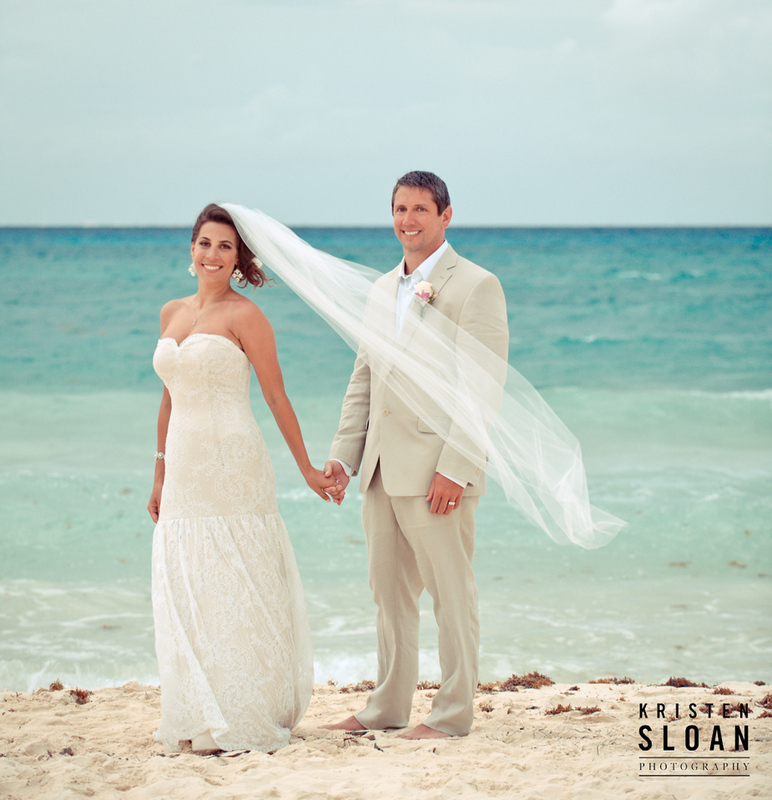 CONTACT KRISTEN SLOAN TODAY TO BOOK YOUR PORTRAIT SESSION! 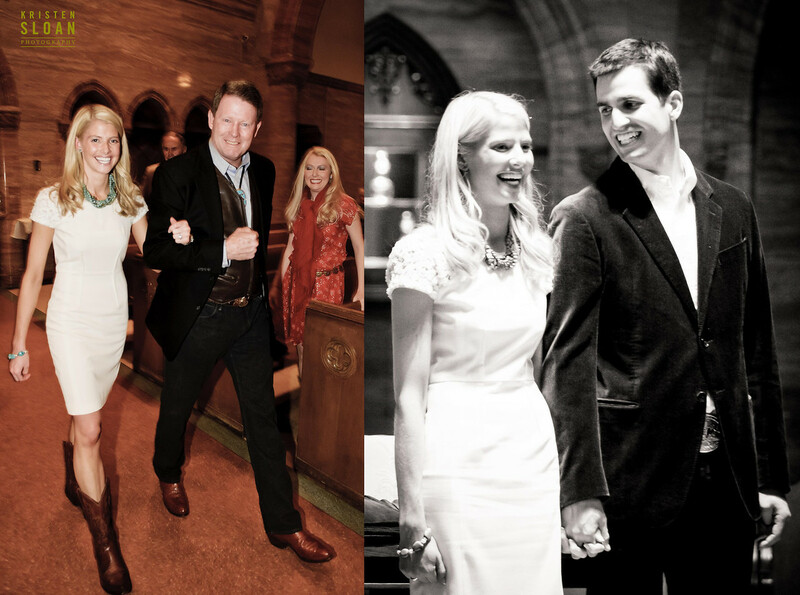 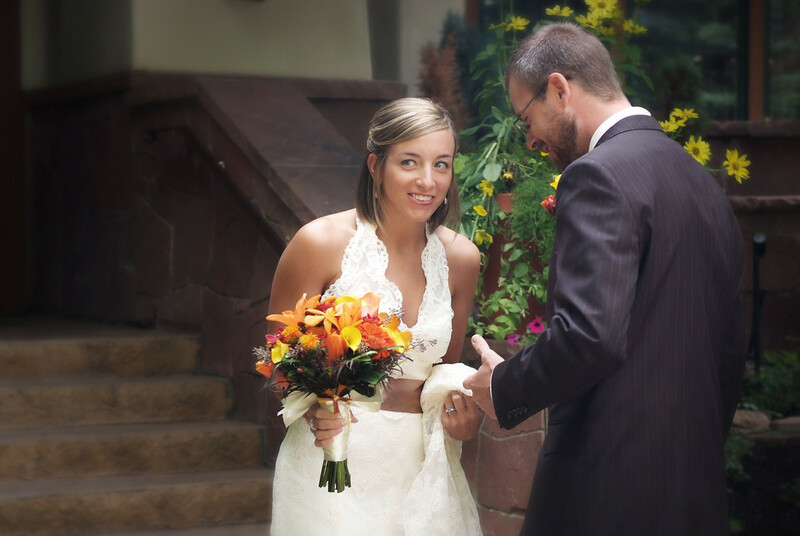 Molly McConaty and David Coors were married over Thanksgiving weekend in downtown Denver. 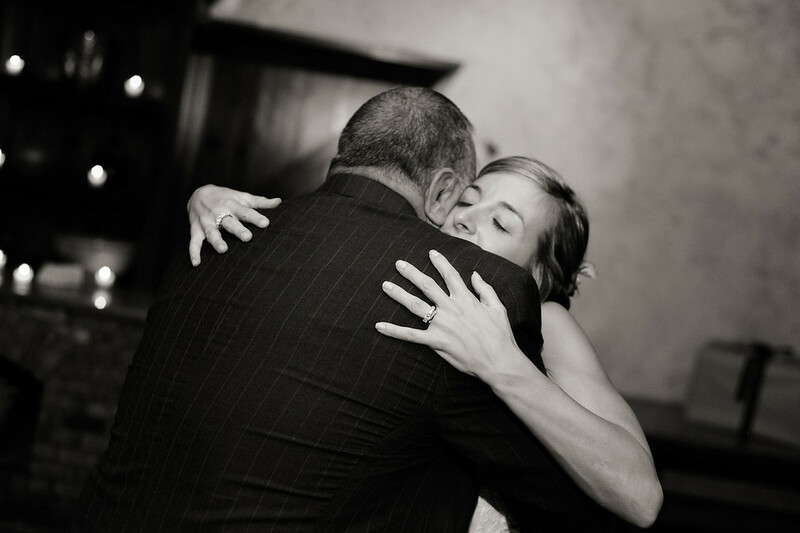 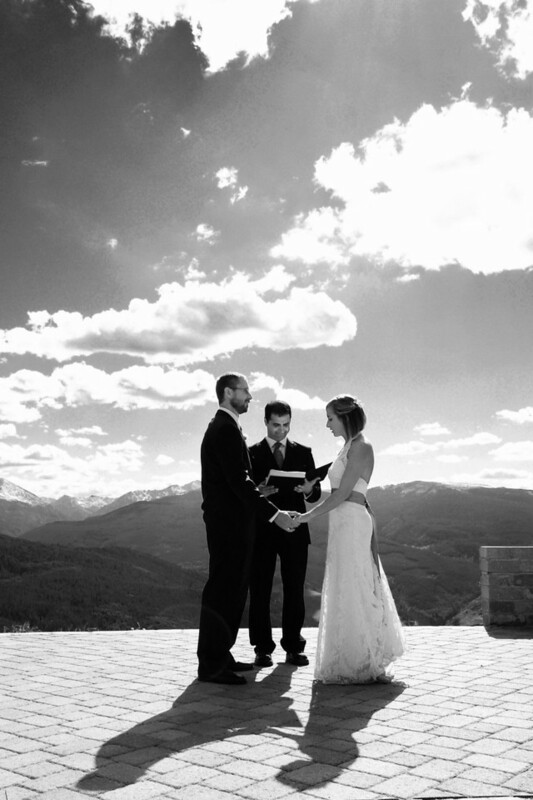 Since both of their families each go back five generations in Colorado, Molly and David selected venues, decor, food and drink to compliment their strong ties to Colorado. 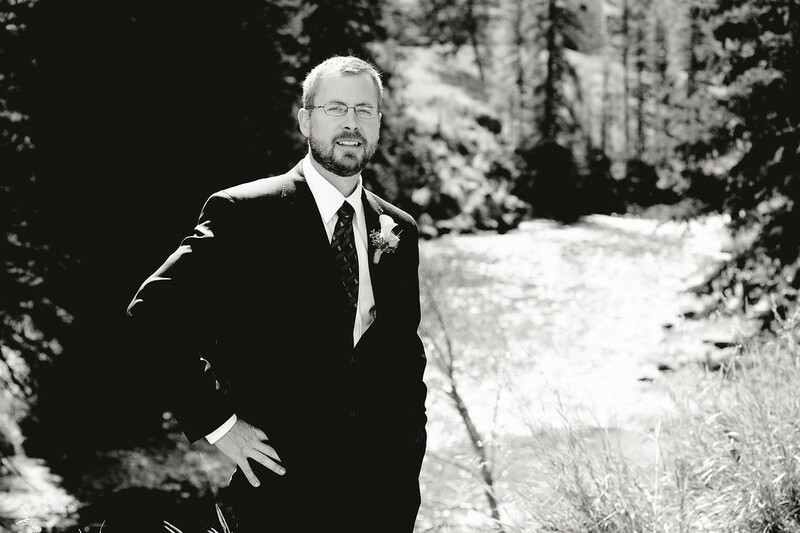 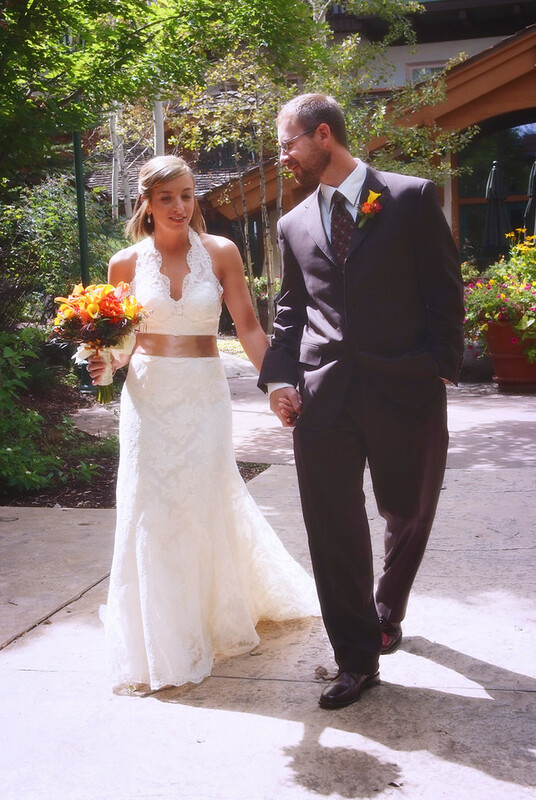 This wedding was a celebration of Colorado heritage! 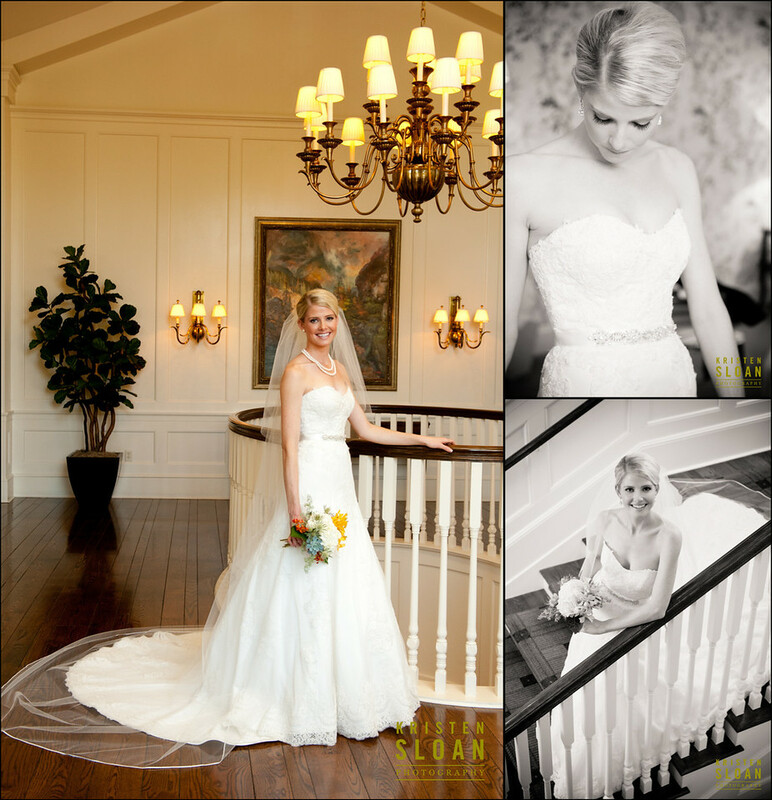 Beginning in late September, I photographed Molly’s bridal portrait at Denver Country Club and was lucky to capture the gorgeous fall foliage in addition to the interior and exterior beauty of the Denver Country Club. 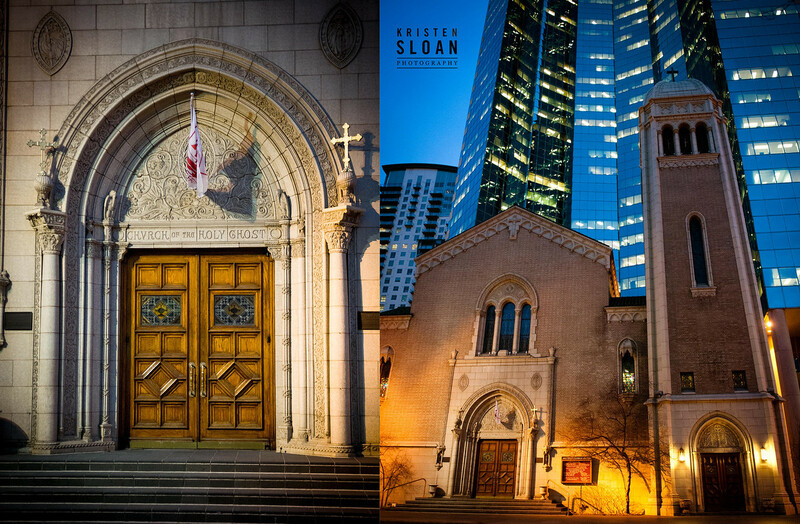 On Friday evening, Scott Krebs and I captured candids during the wedding ceremony rehearsal at Holy Ghost Church in downtown Denver. 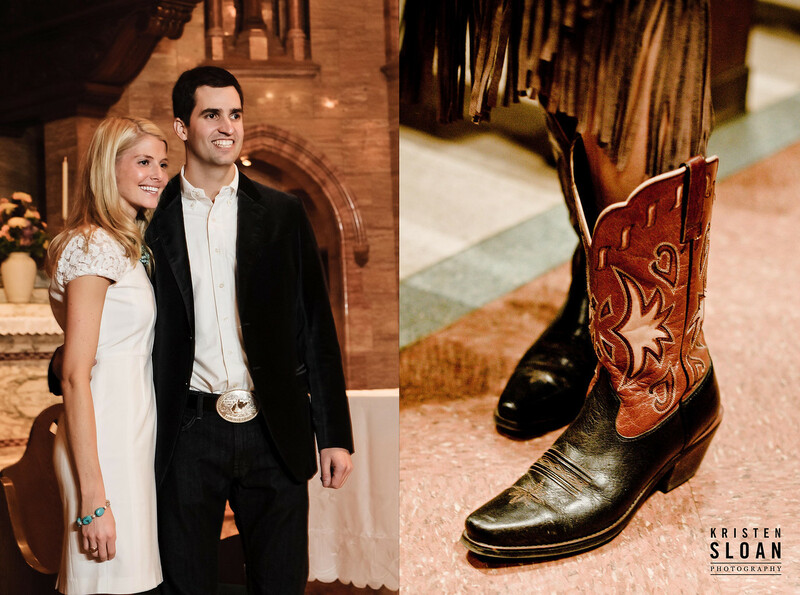 The bride and groom selected a western attire theme for the evening. 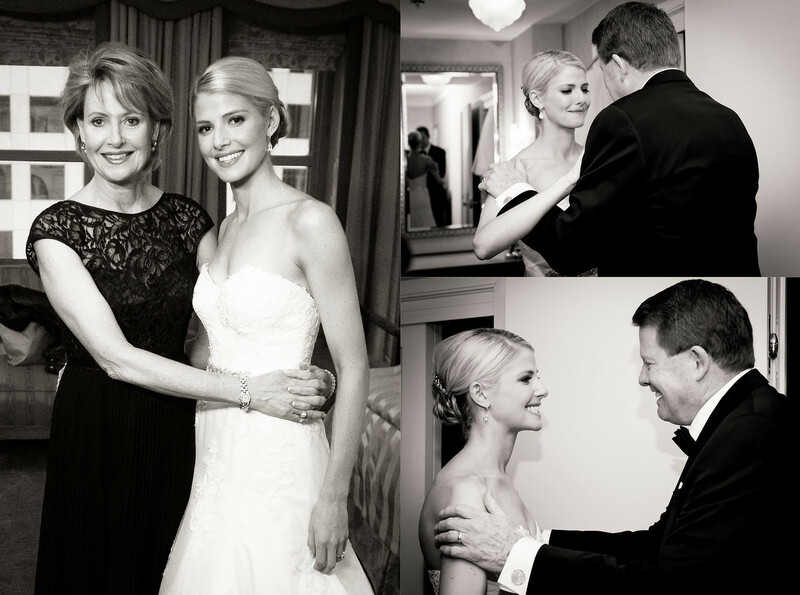 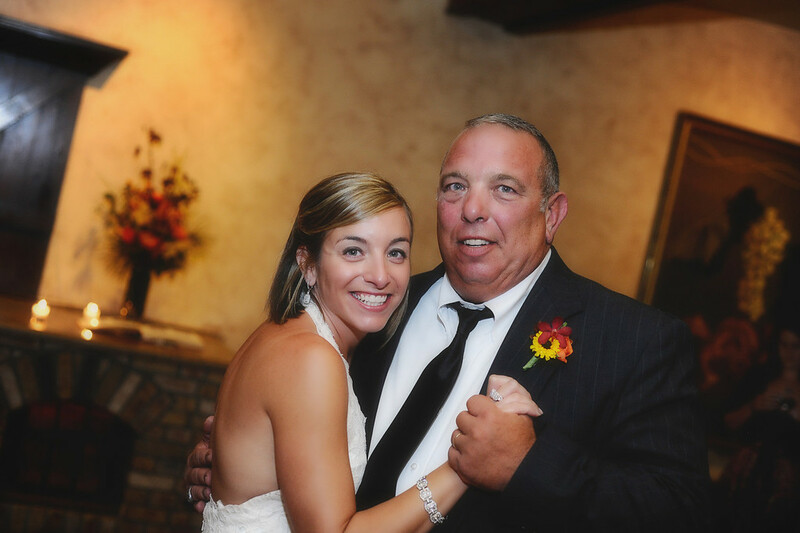 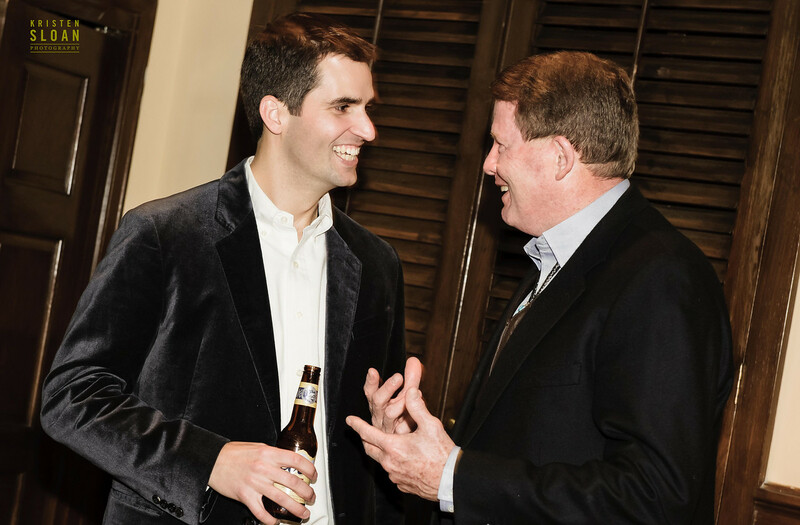 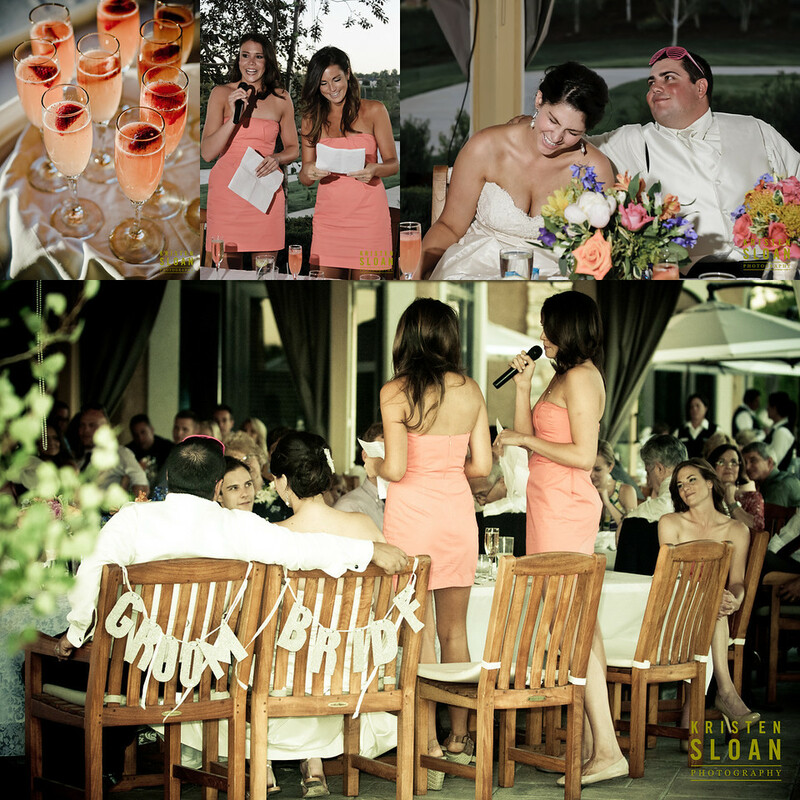 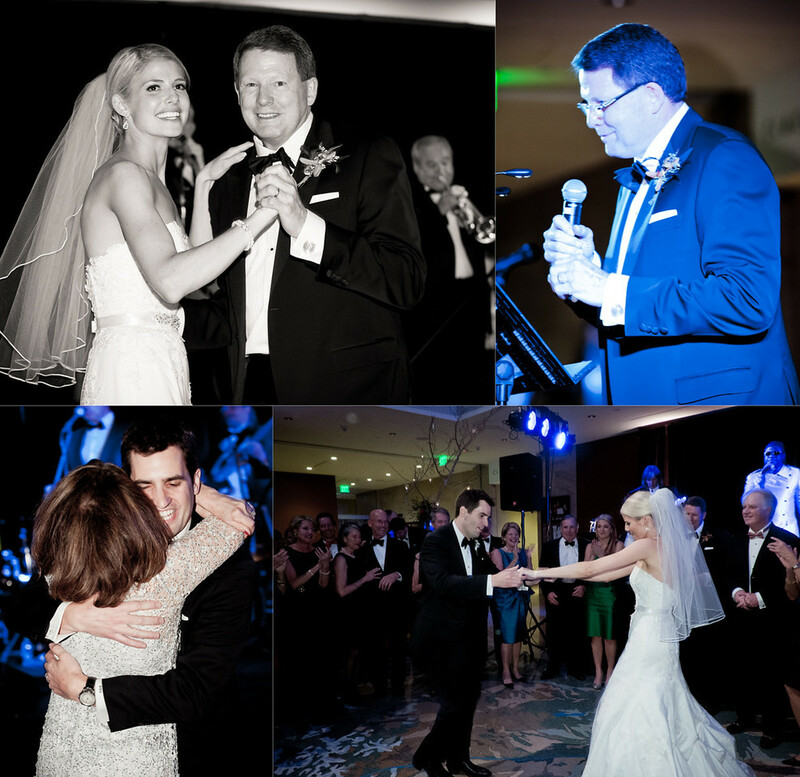 David’s family hosted the wedding rehearsal dinner at University Club Denver. 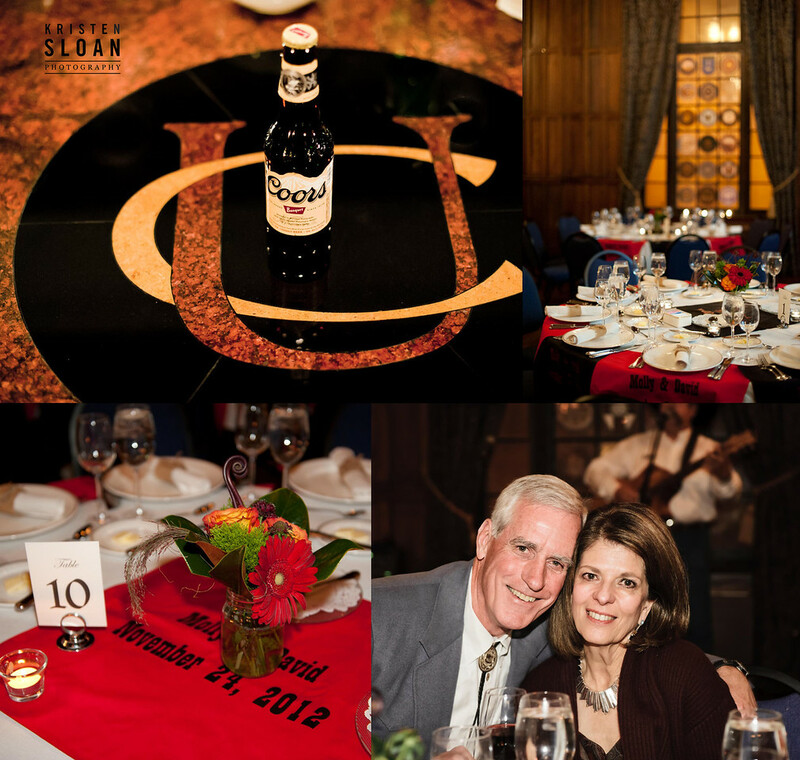 Coors beer was featured, along with western guitar entertainment. 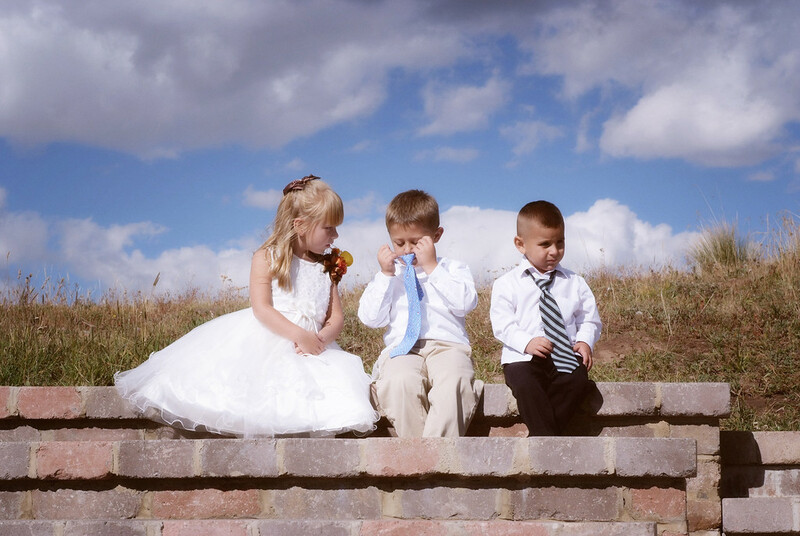 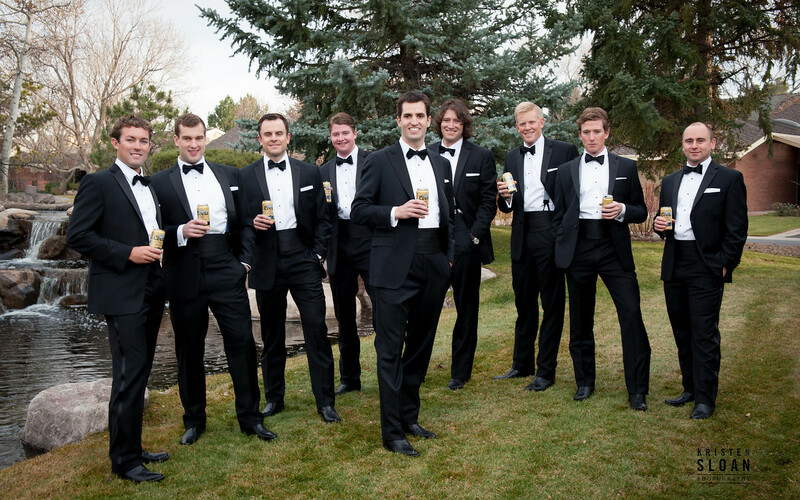 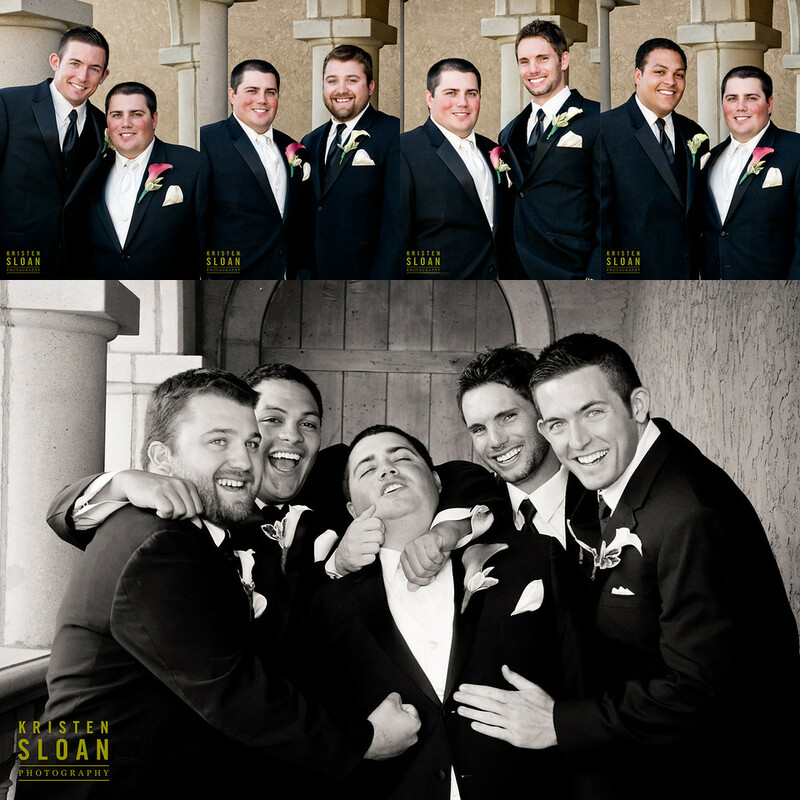 David and his groomsmen got dressed at his parents residence in Denver. 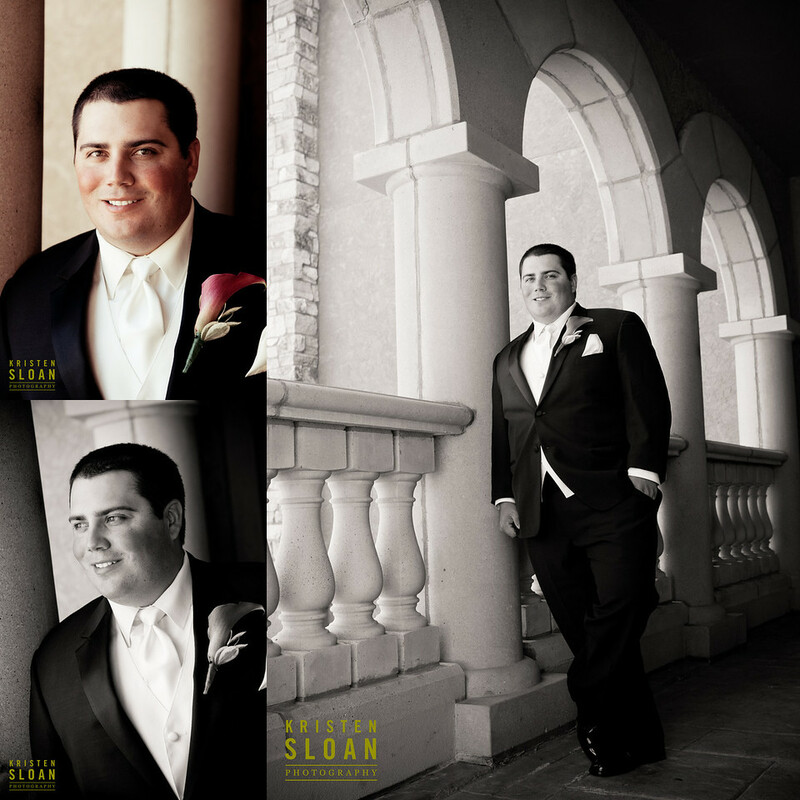 We photographed the portraits of the gentlemen in their beautiful backyard. 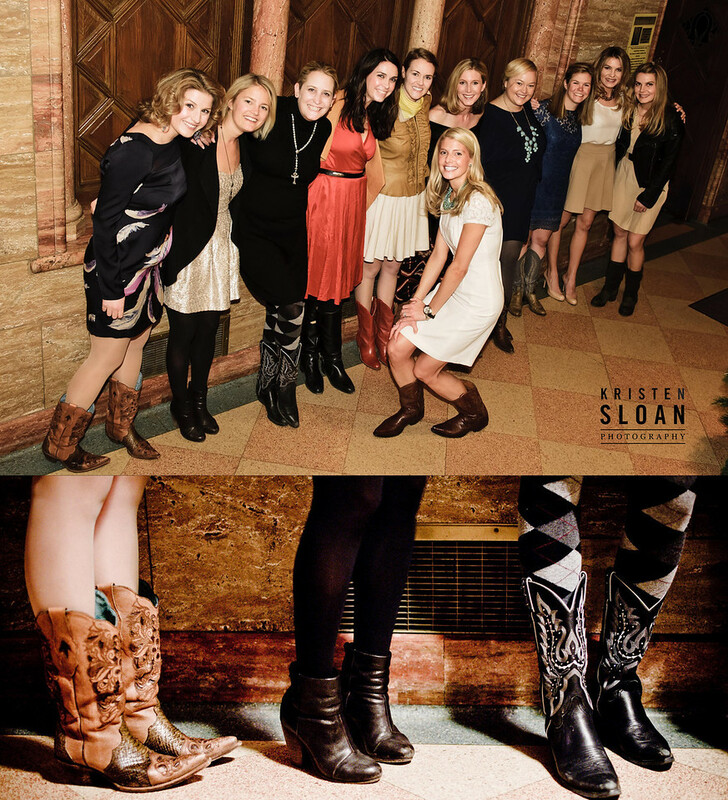 The gentlemen were outfitted handsomely in black cowboy boots. 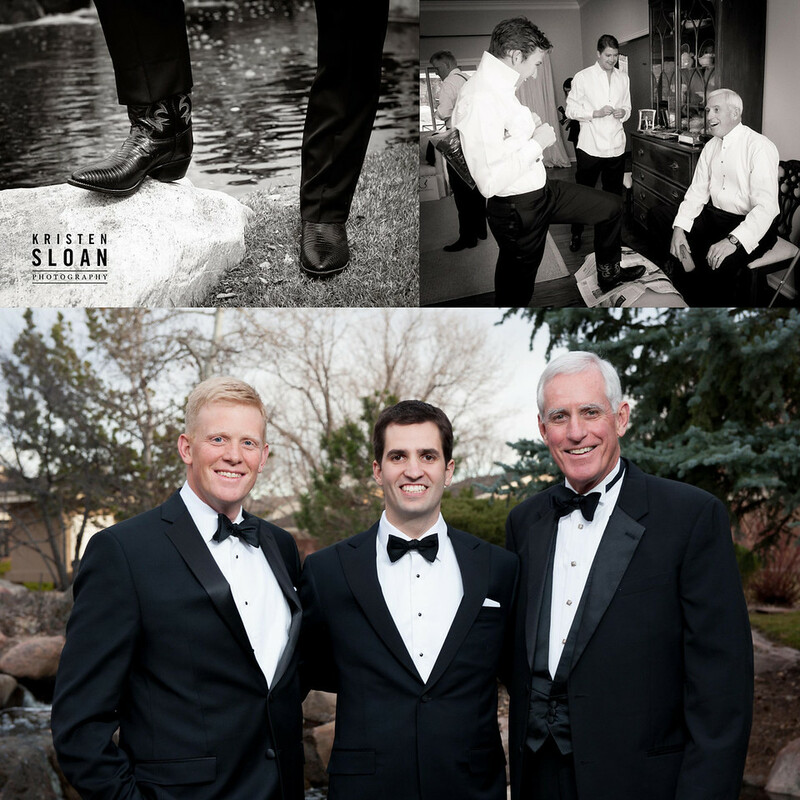 David’s dad, Pete set-up a boot shining station to help the gentlemen look their best. 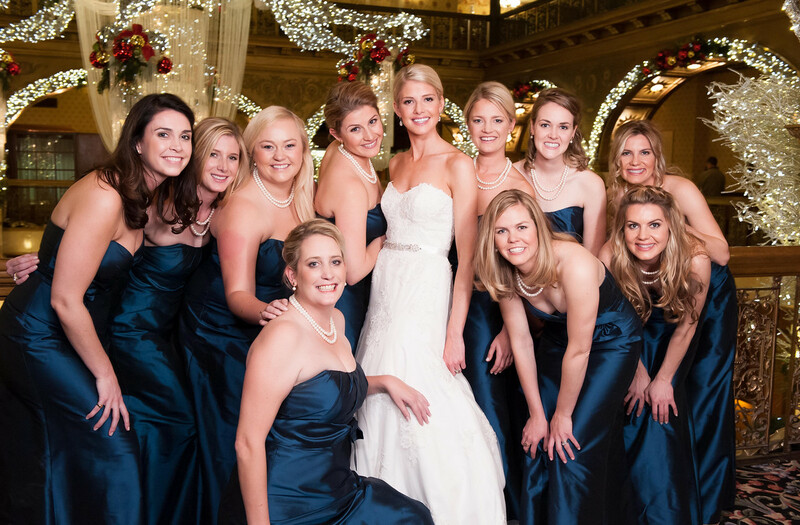 Molly and her bridesmaids dressed in a room on the 9th art deco floor of the Brown Palace Hotel. 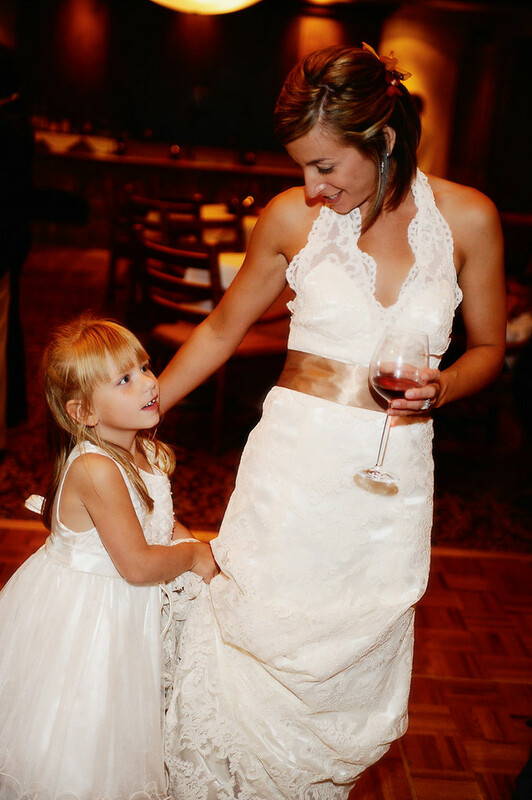 Molly’s dress was purchased at Anna Be in the Highlands. 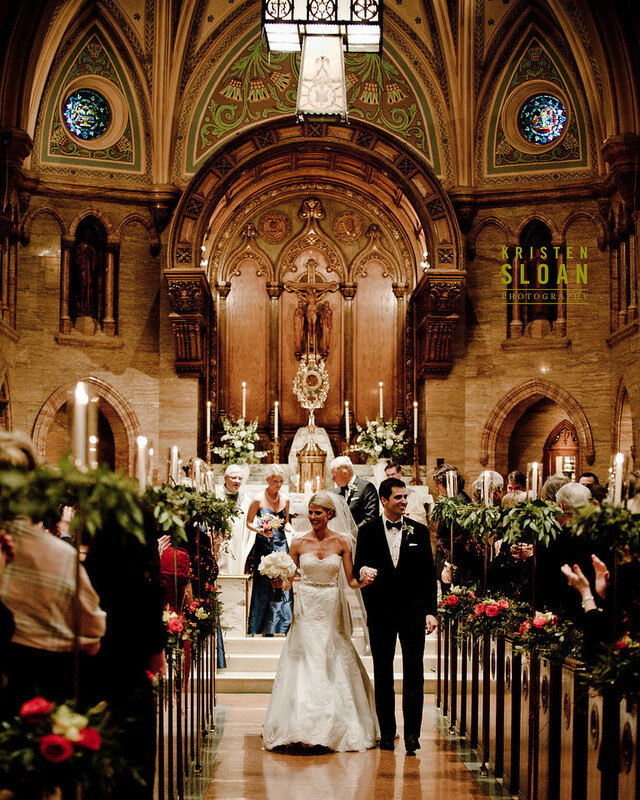 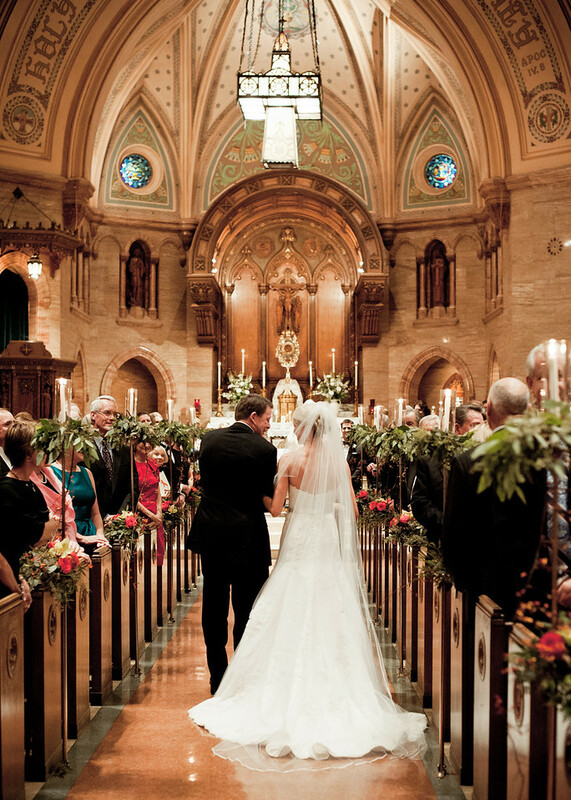 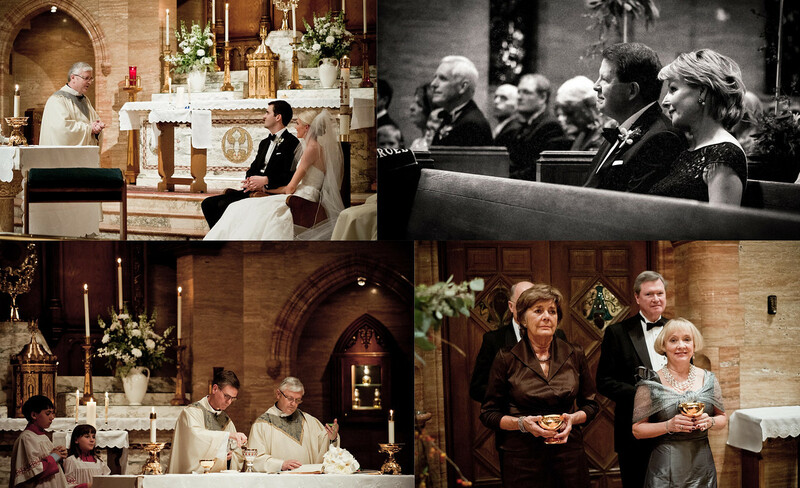 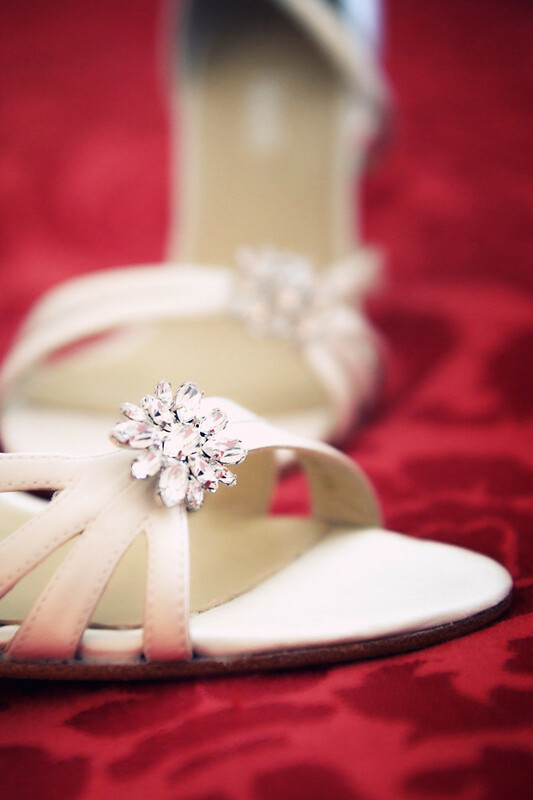 Molly and David’s evening wedding ceremony was held at Holy Ghost Church. 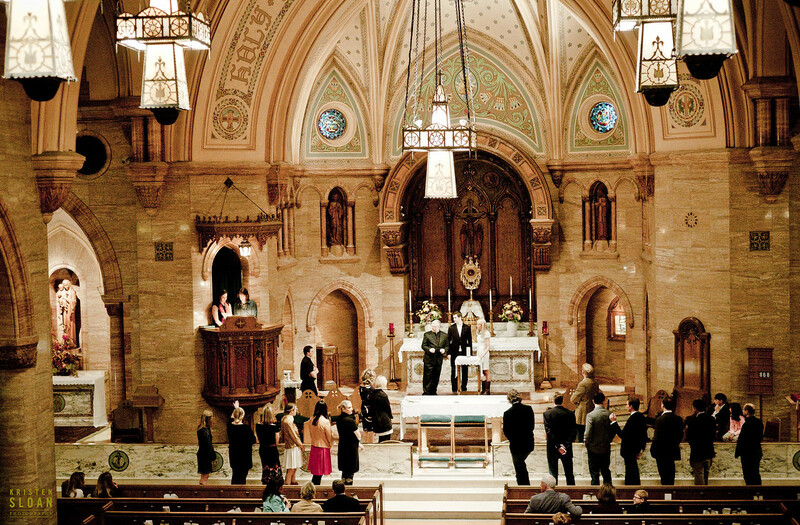 The full Catholic Mass was officiated by Father Daniel Leonard and Monsignor Michael Glenn. 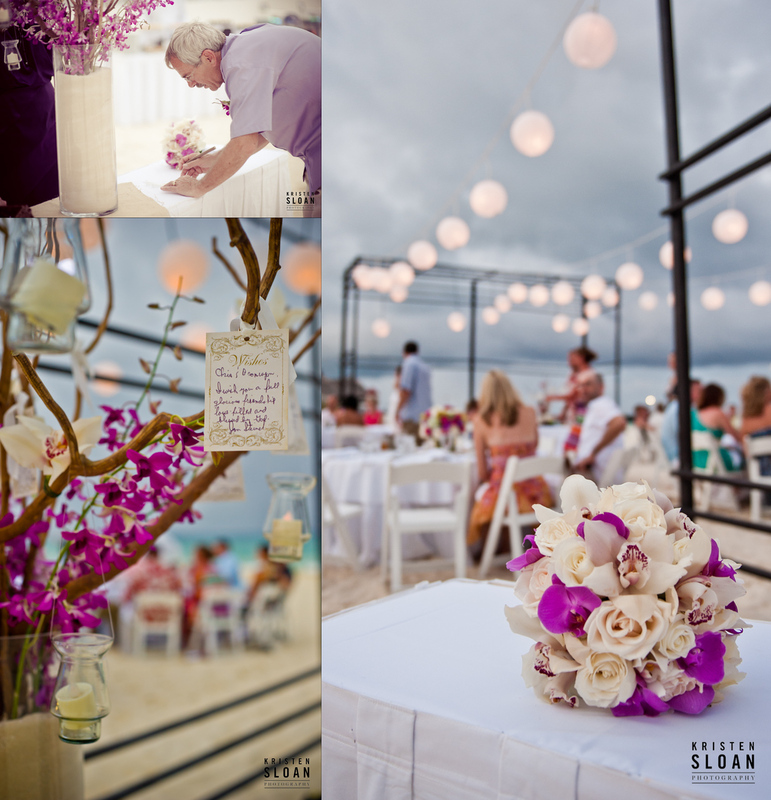 Flowers were designed by Jil at Moss Pink Flora. 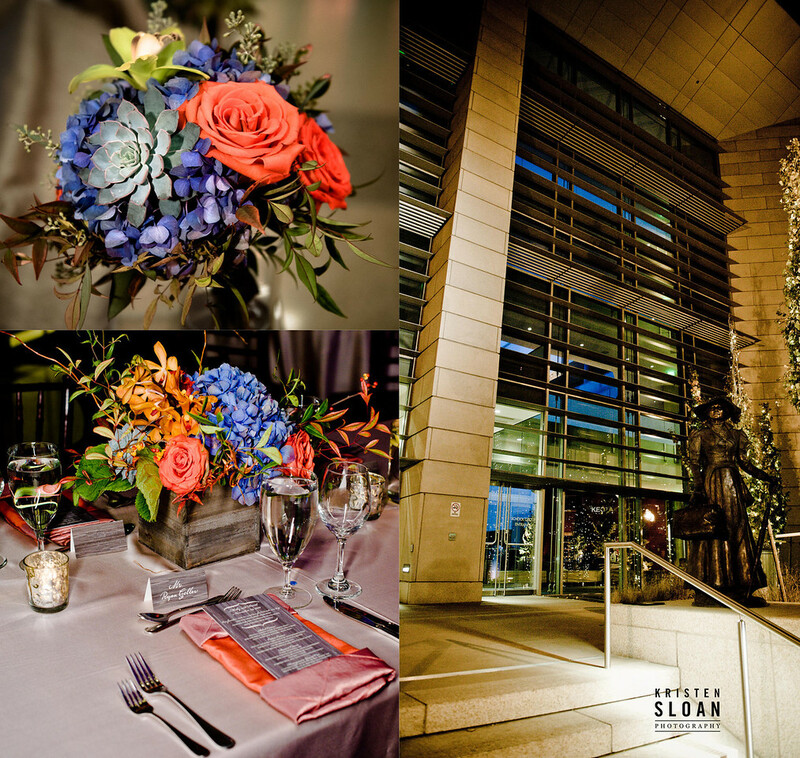 Sophisticated woodland rustic was the theme with hydrangeas, roses, thistle, succulents, orchids, nandina and seeded eucalyptus. 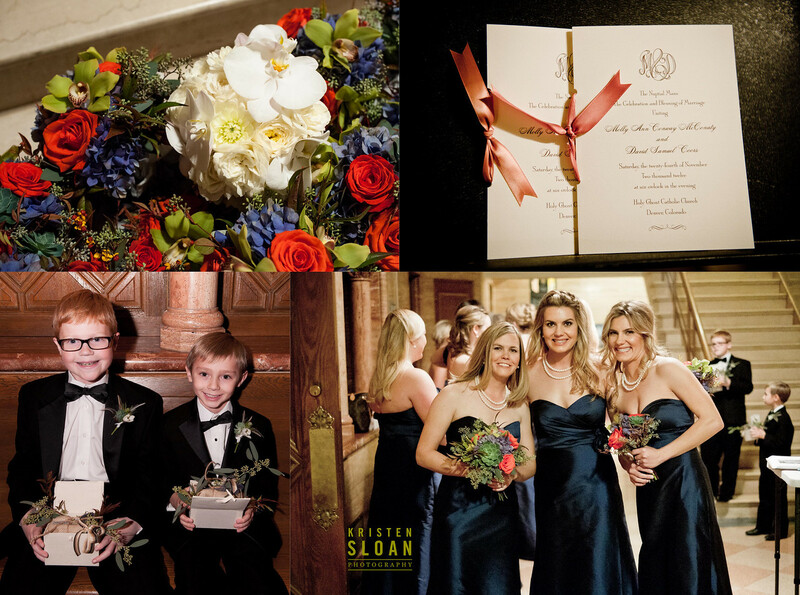 All of the wedding stationary, (including the invitations, church programs and menu cards) was provided by Rosie Wiedenmayer of the Paper Lady, Denver, Colorado. 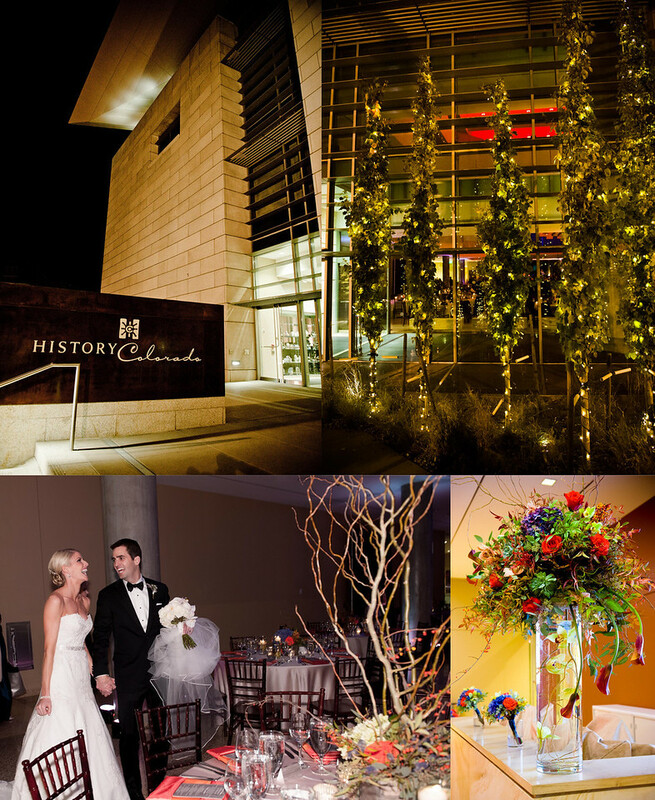 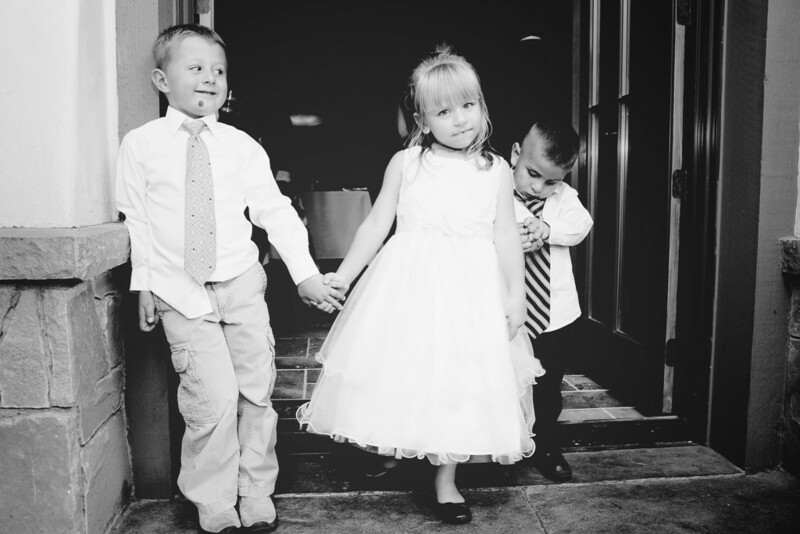 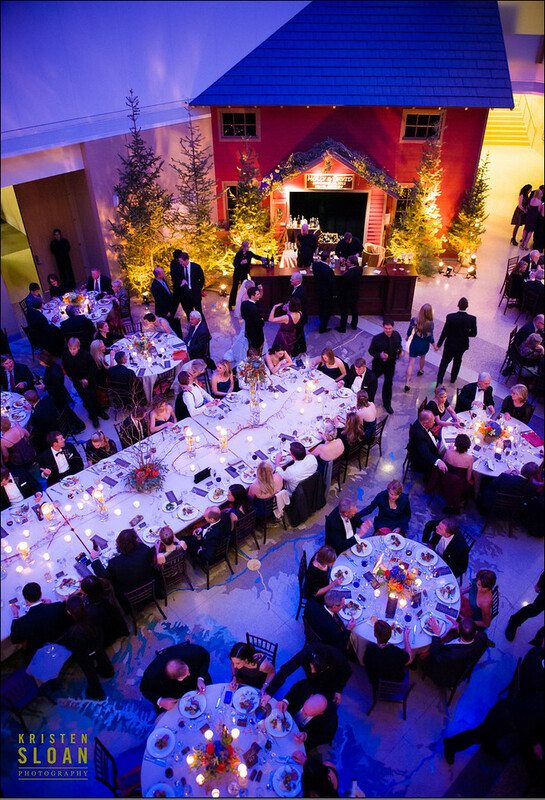 The wedding reception was held at the newly opened History Colorado Museum. 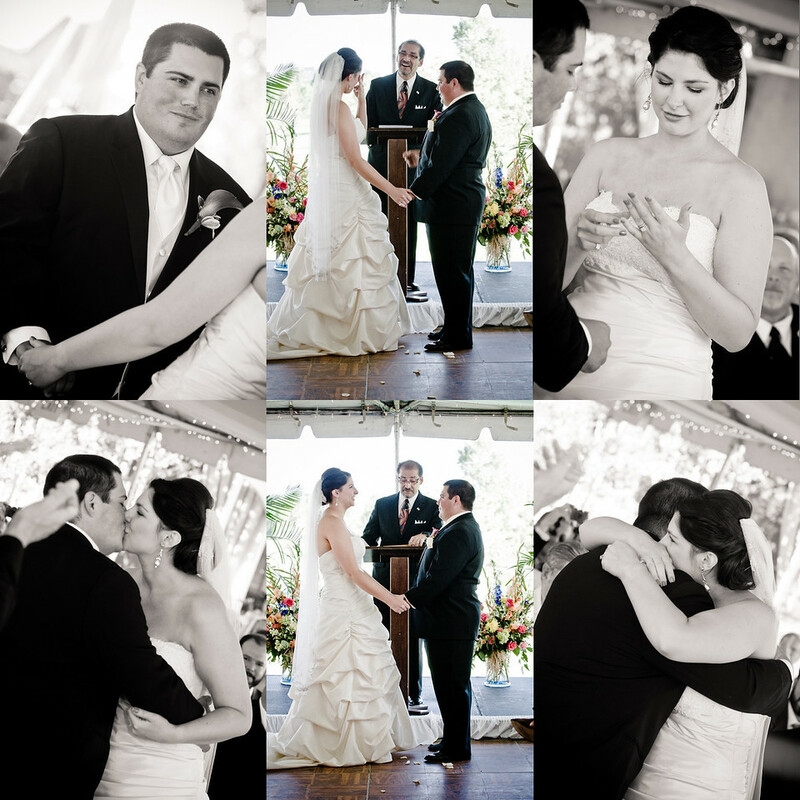 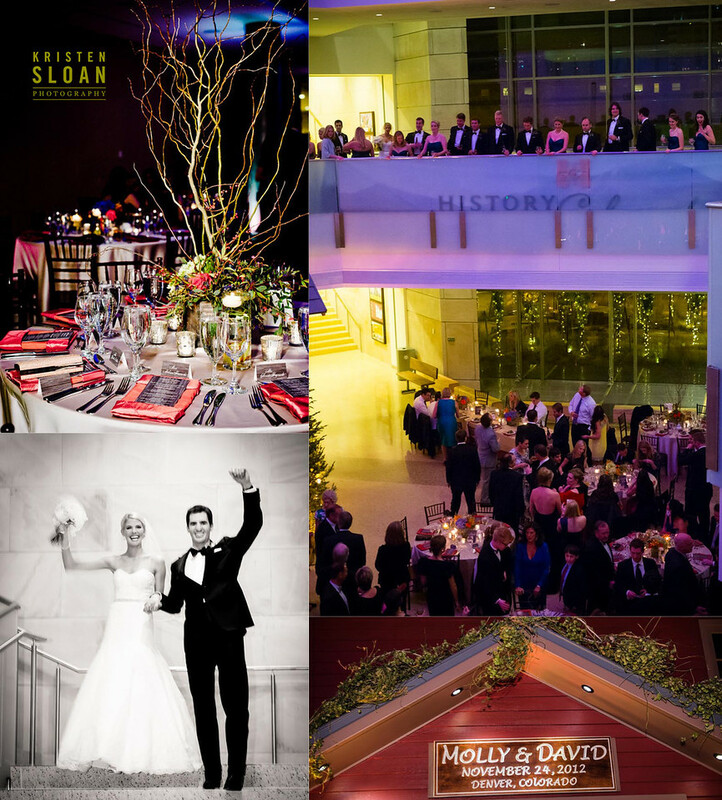 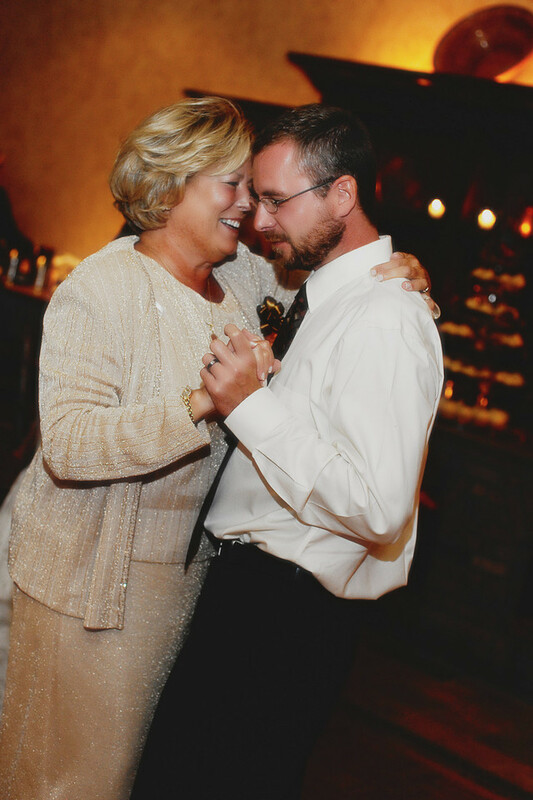 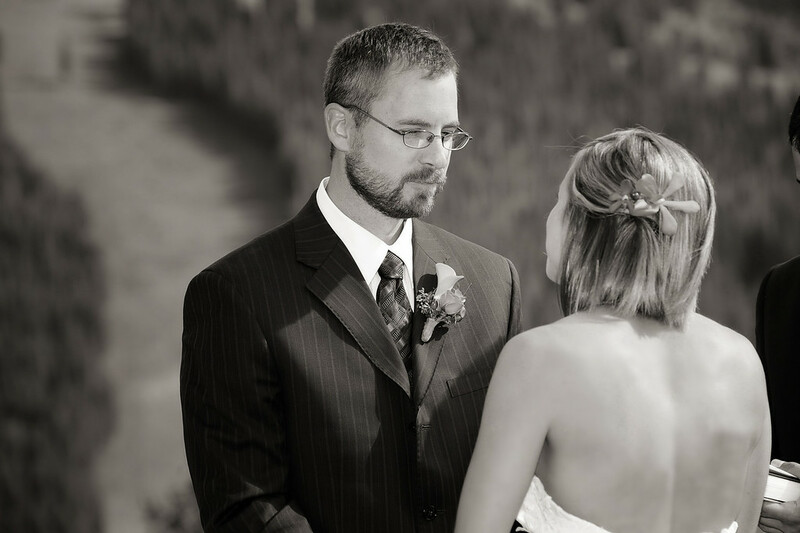 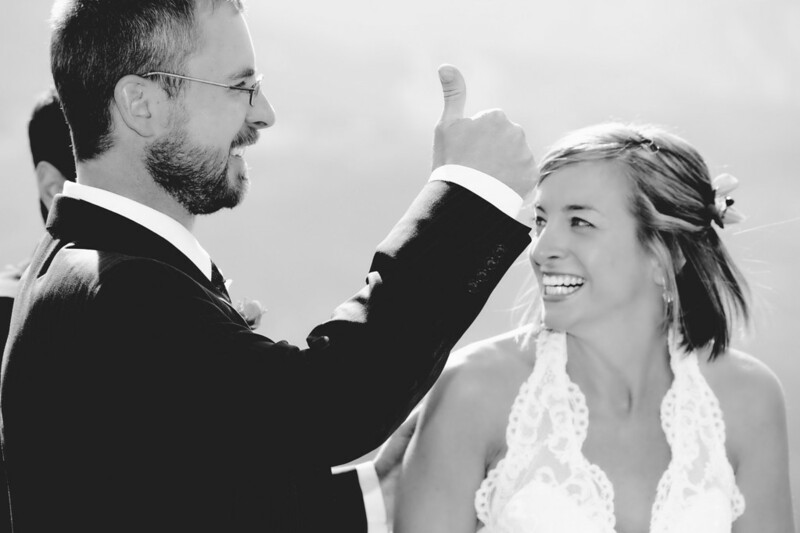 Hosting their wedding reception at History Colorado was particularly meaningful to the Molly and David since their families are fifth generation Coloradans. 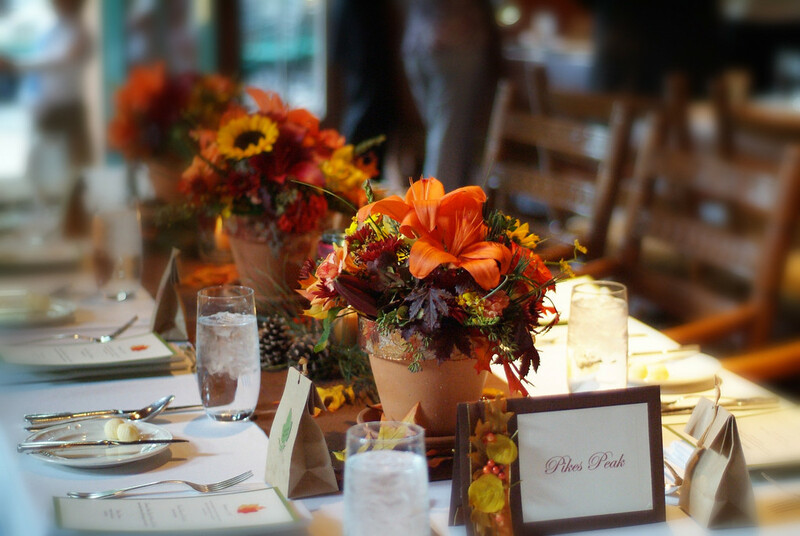 The menu featured local Colorado ingredients of autumns’ rich bounty catered by Continental Divine Catering lead by Shannon Fitzgerald. 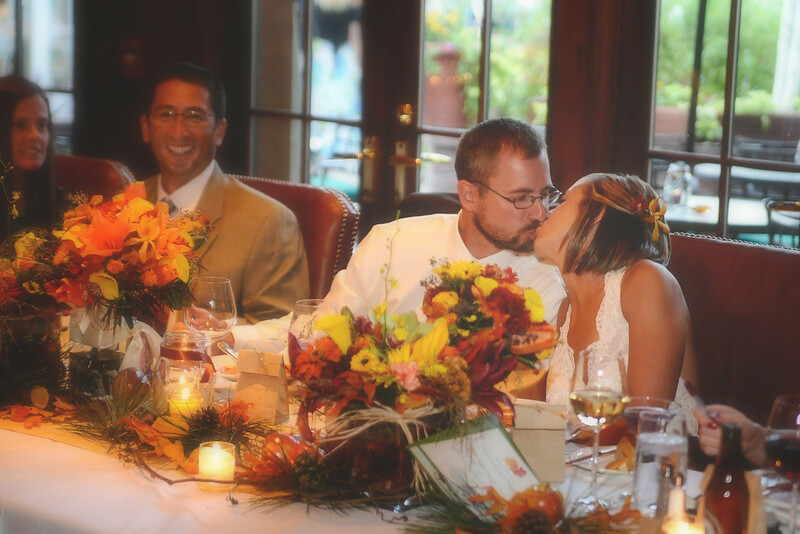 The wedding featured Colorado wines from Creekside Cellars. 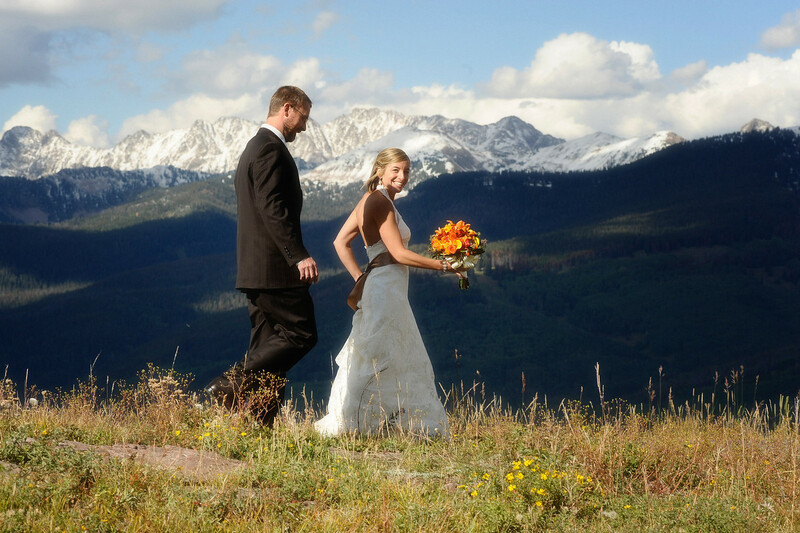 The grapes were grown and harvested in Palisades, Colorado, but crushed, cellared and bottled in Evergreen, Colorado. 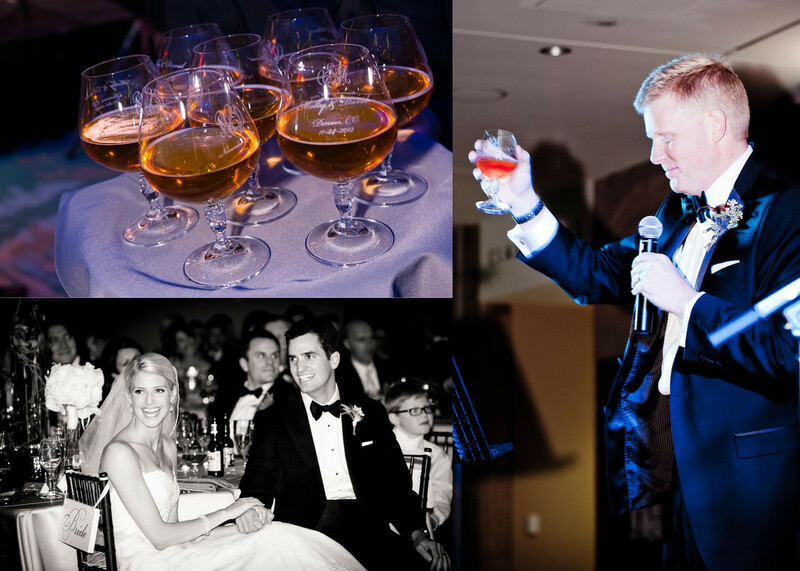 A celebratory grand cru honey wheat ale brewed with local madhava clover honey from Lyons, Colorado was created by the groom, David Coors and Sandlot Brewery for the special occasion. 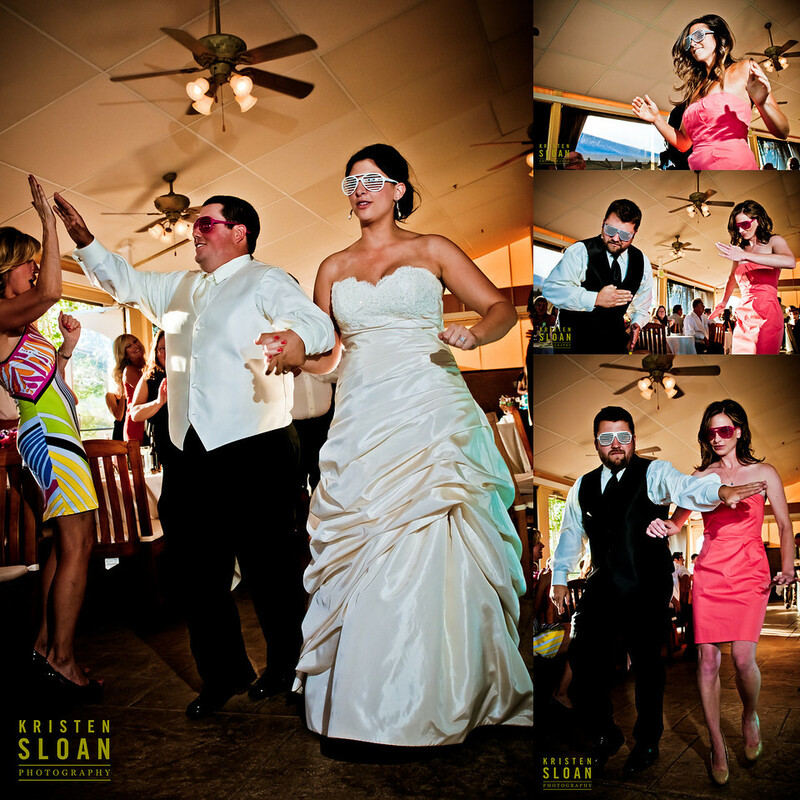 Guests toasted the couple in monogrammed glasses. 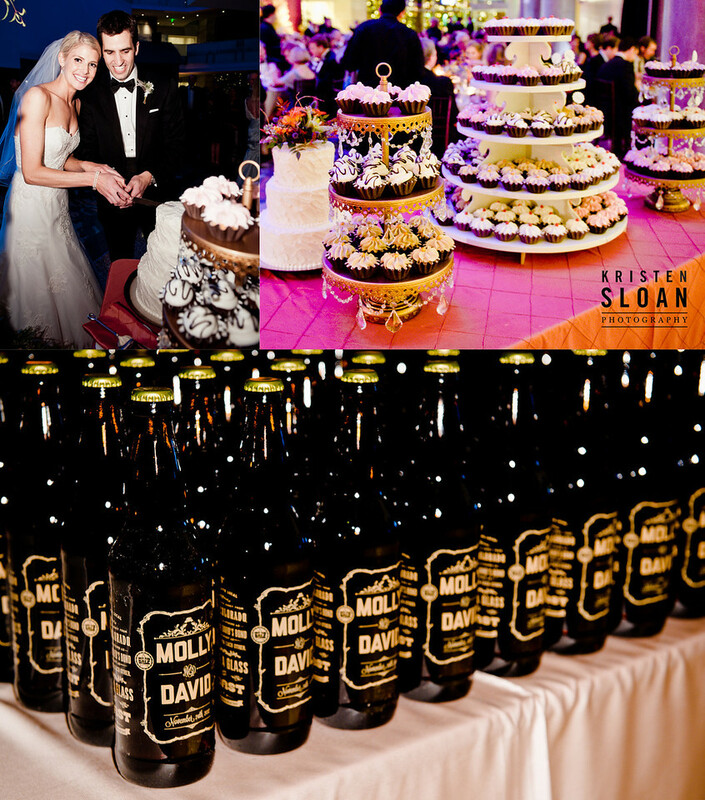 Later they were able to take these home as a favor along with a bottle of the ale customized with Molly and David wedding labels. 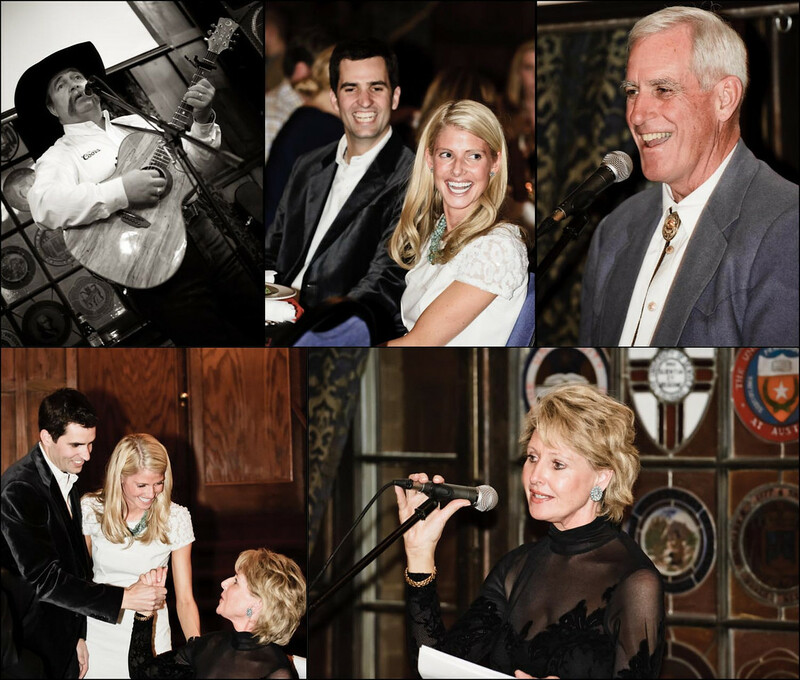 Jerry Barnett and Moments Notice provided phenomenal entertainment. 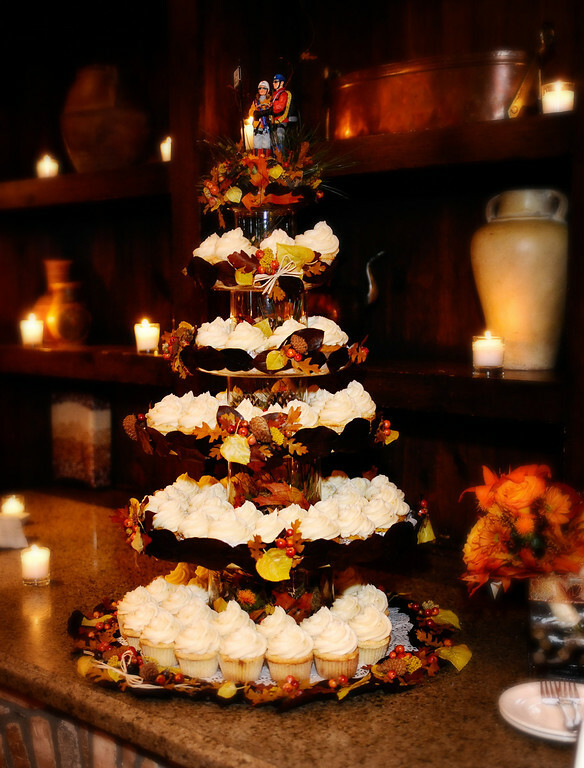 The cake and cupcakes were made by Brooke Smith at the Dessert Stand. 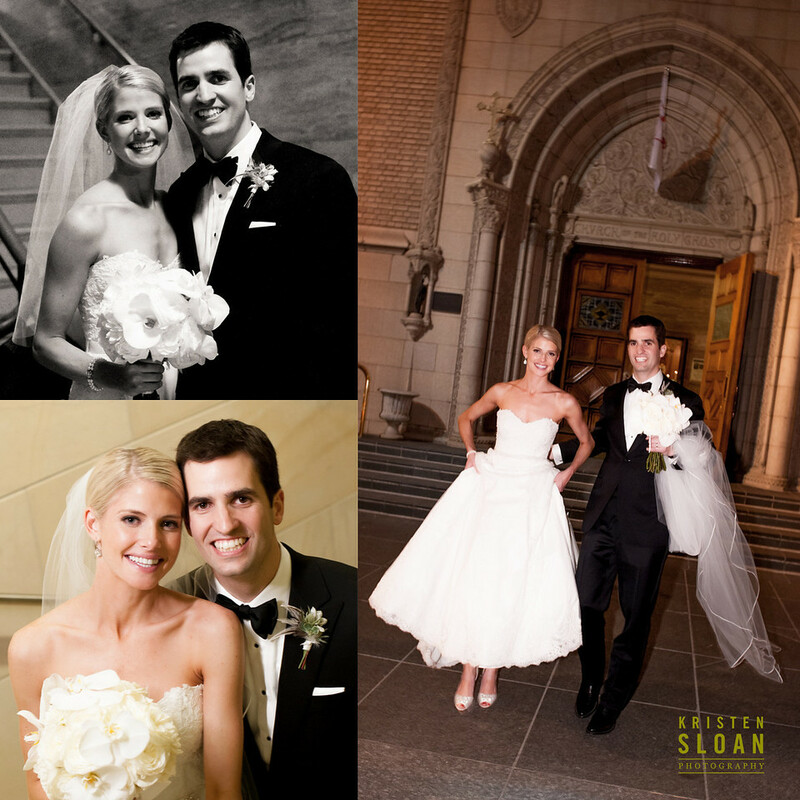 One of the beautiful aspects of photographing weddings in Denver Colorado is the opportunity to photograph at historic architectural locations. 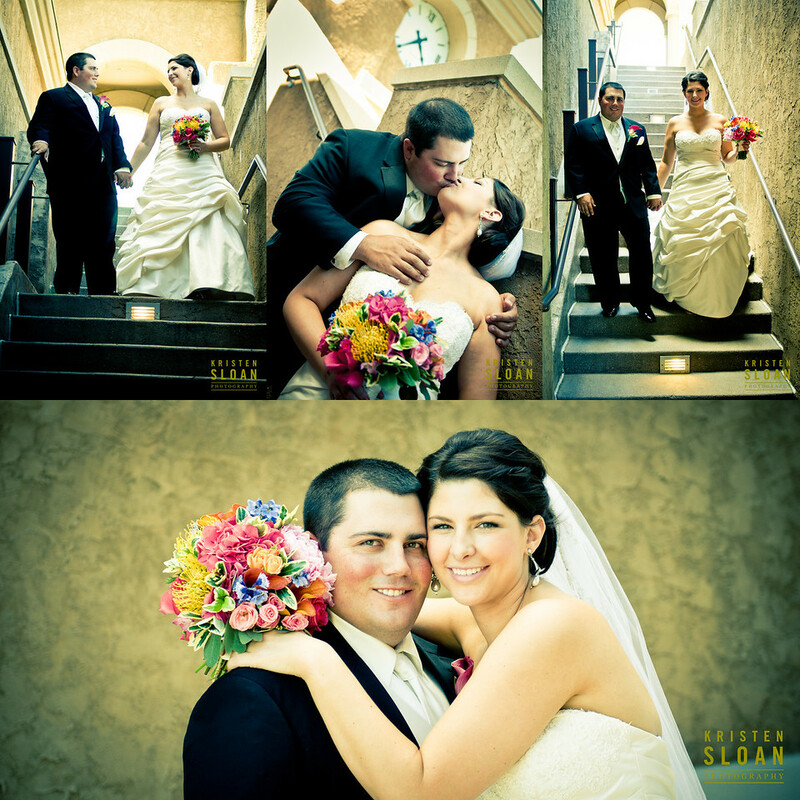 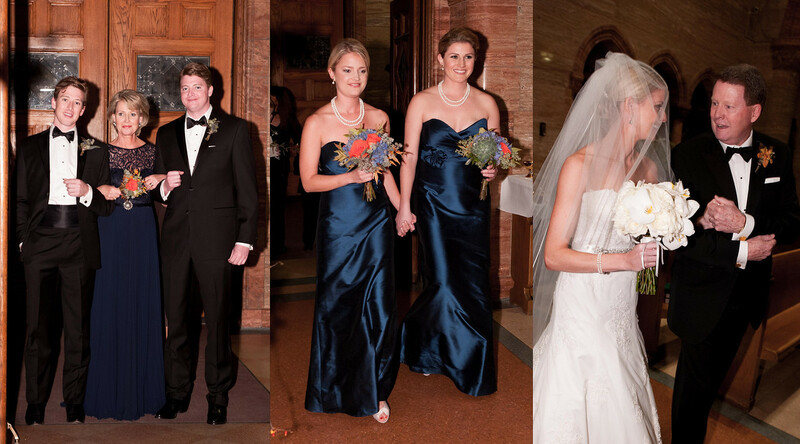 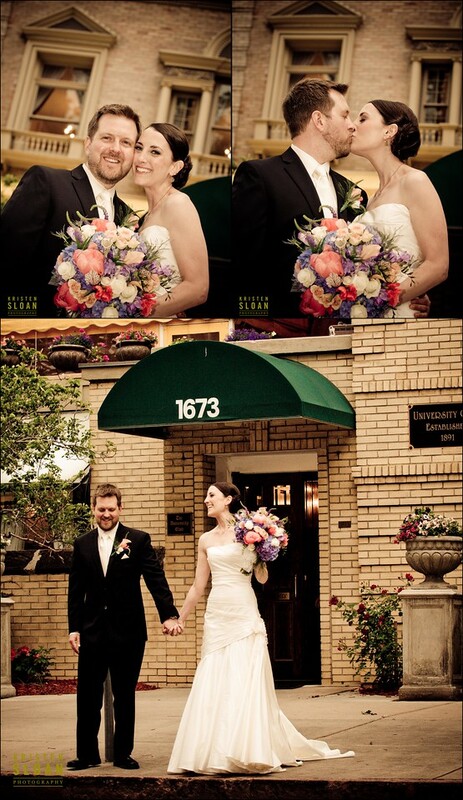 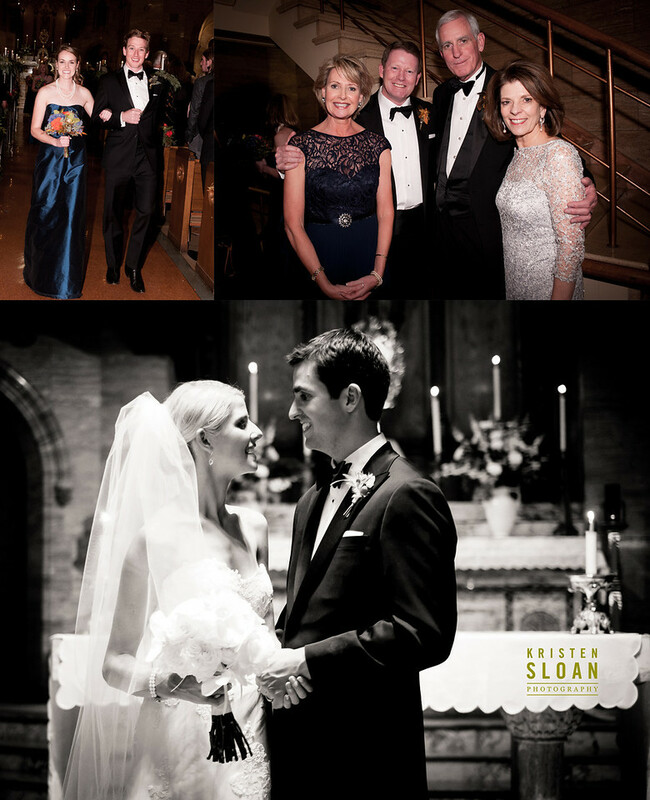 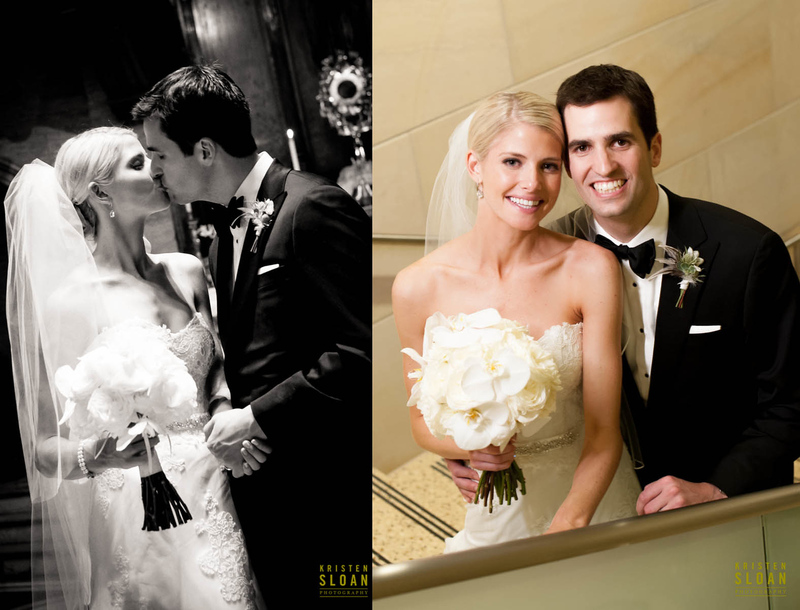 Our bride and groom selected the University Club in downtown Denver Colorado for their May wedding. 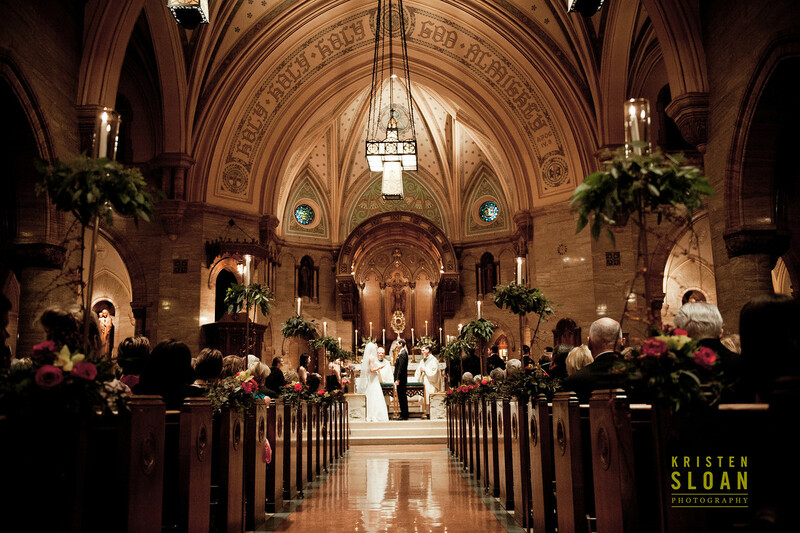 The University Club is a 1895 neoclassical home located at 1673 Sherman Street. 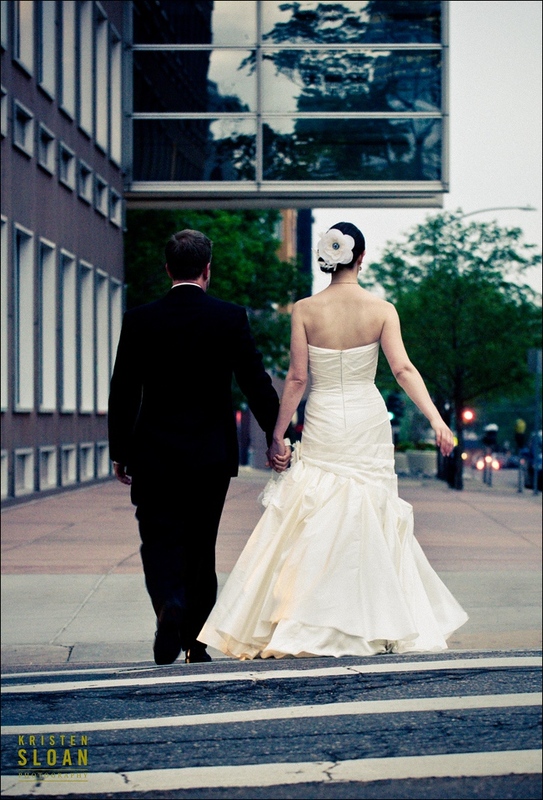 The Capitol Hill Club House, now a haven in the shadows of high-rise office towers, is one of the few remaining historic buildings in downtown Denver. 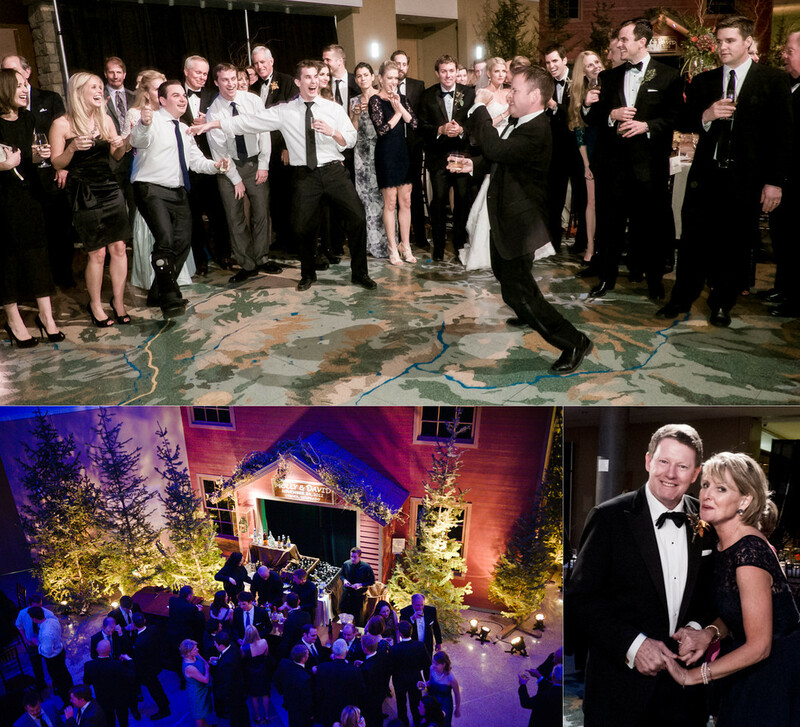 Since 1891 is has served as a private social club, where members gather for food, drink, entertainment and athletic pursuits. 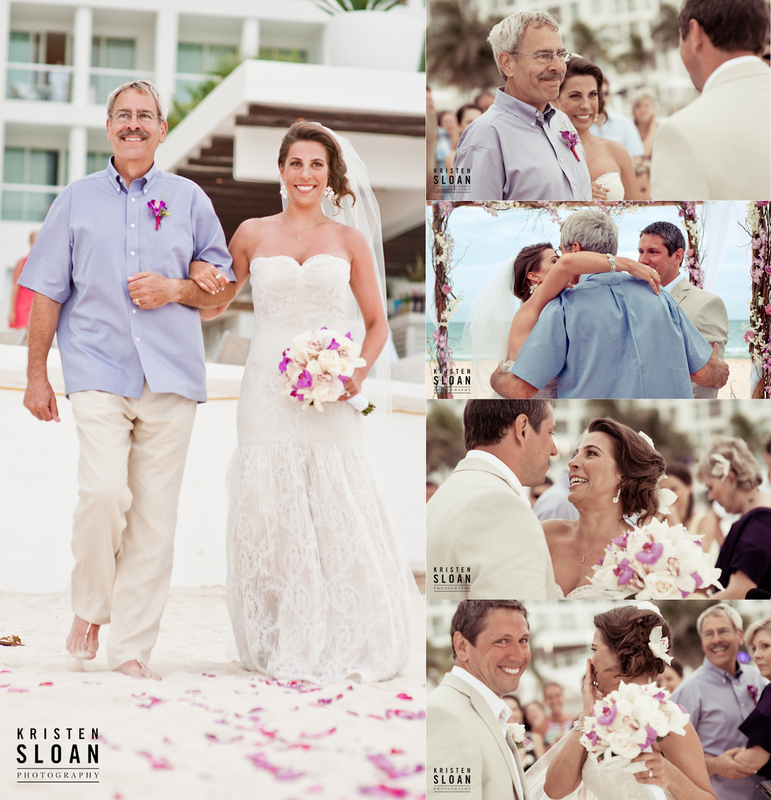 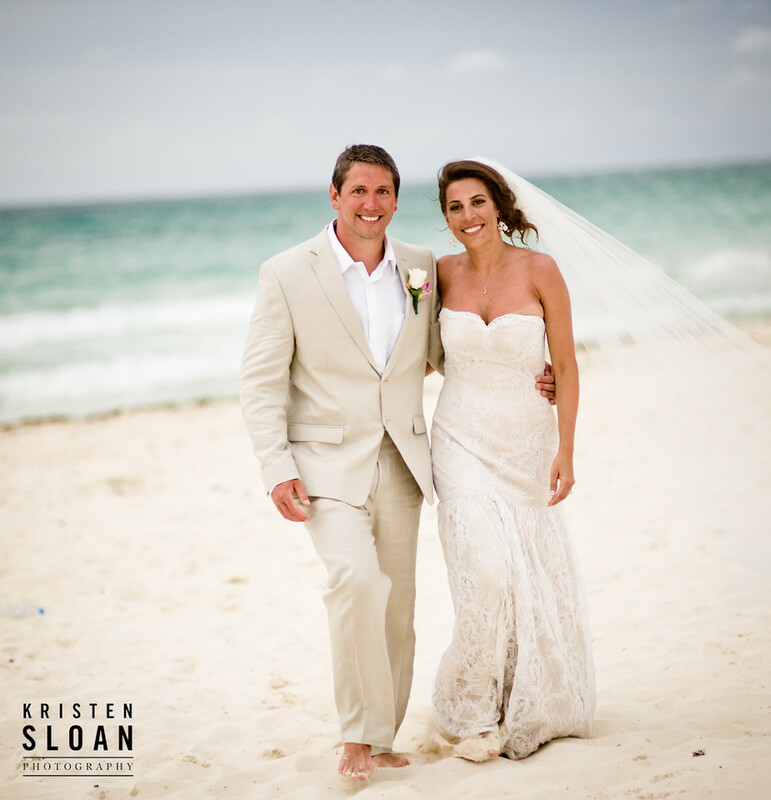 Scott Krebs and I traveled to beautiful Playa del Carmen, Mexico to photograph Bronwyn and Chris’s destination beach wedding at Playacar Palace. 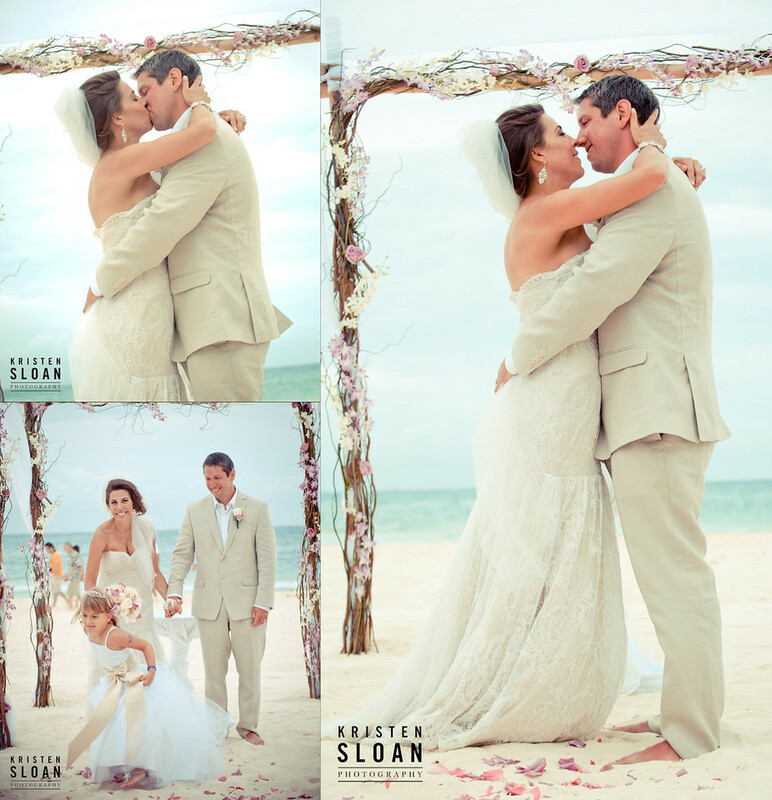 Bronwyn and Chris chose to have a destination beach wedding after attending a friend’s Cozumel wedding at the previous year. 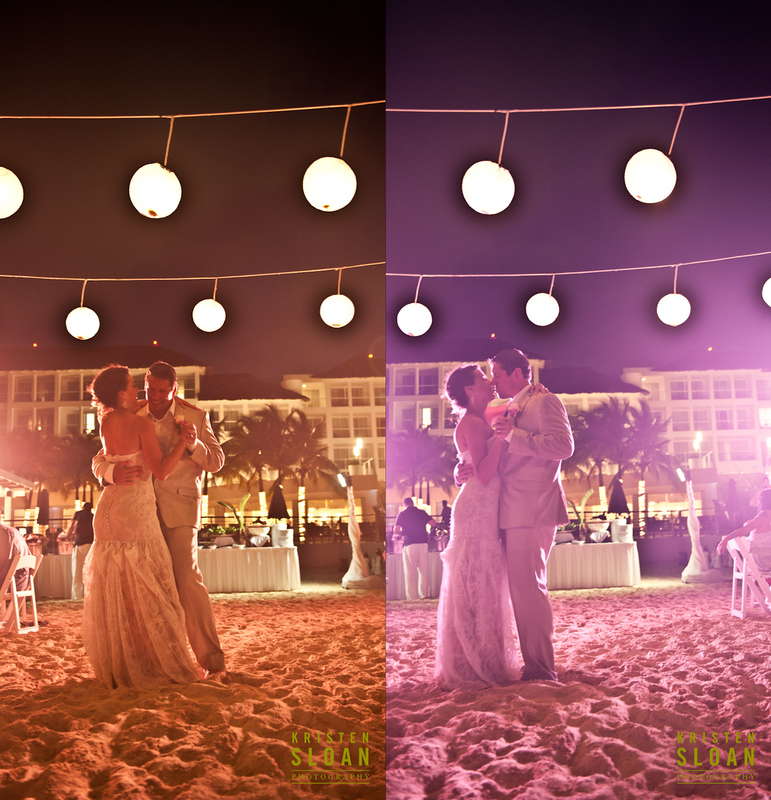 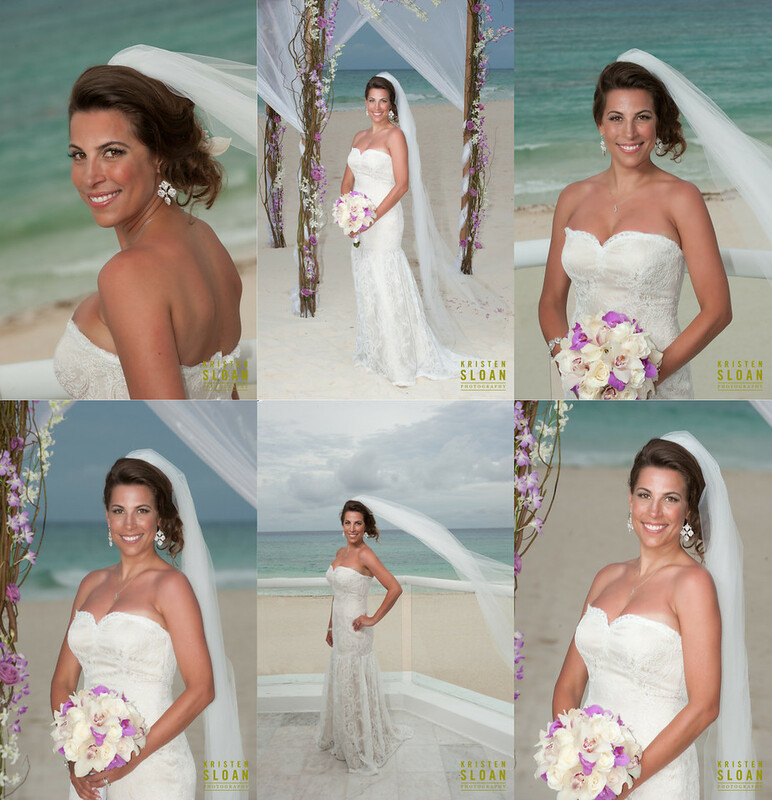 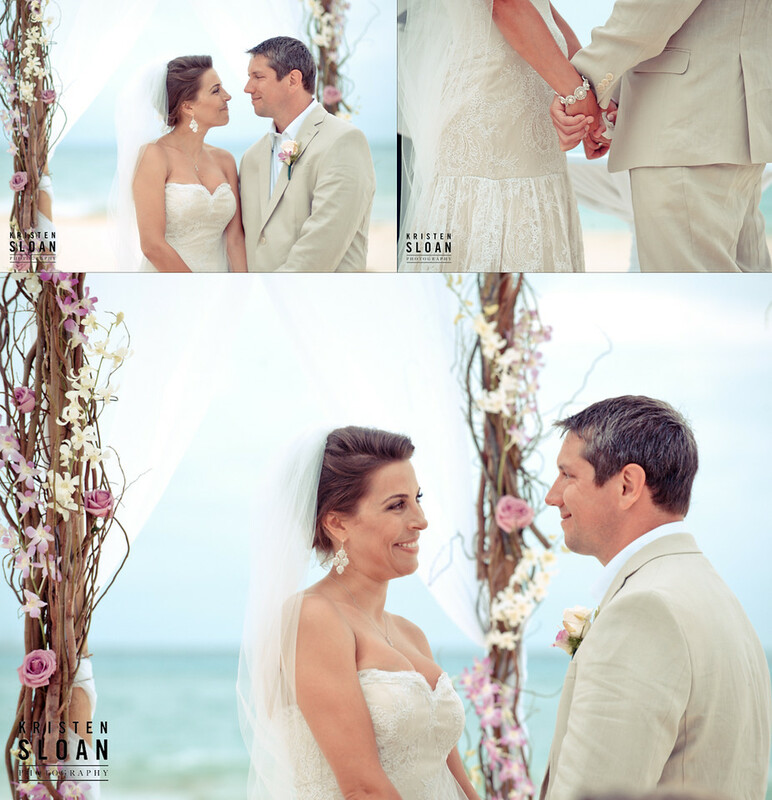 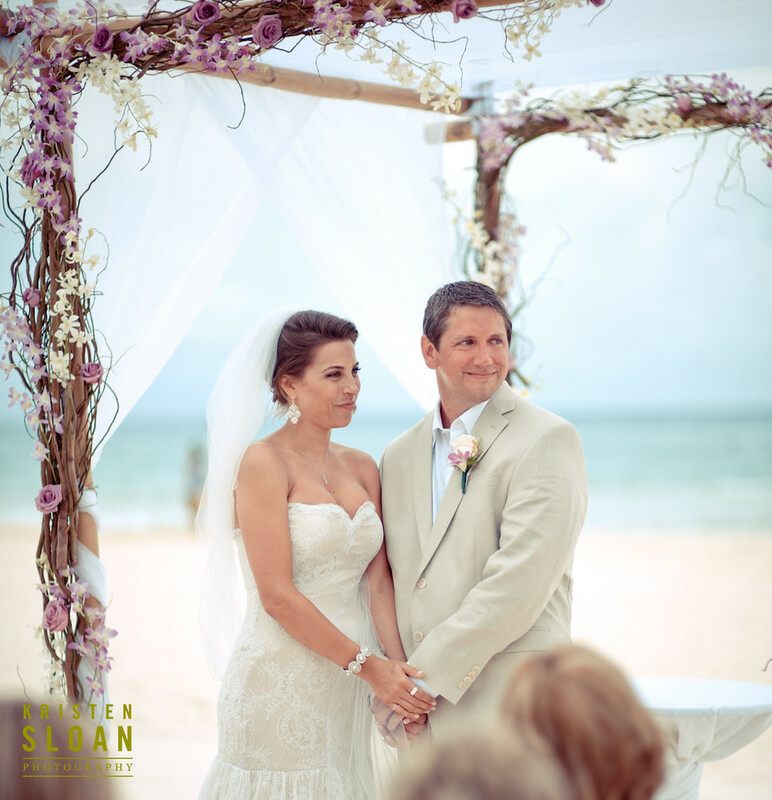 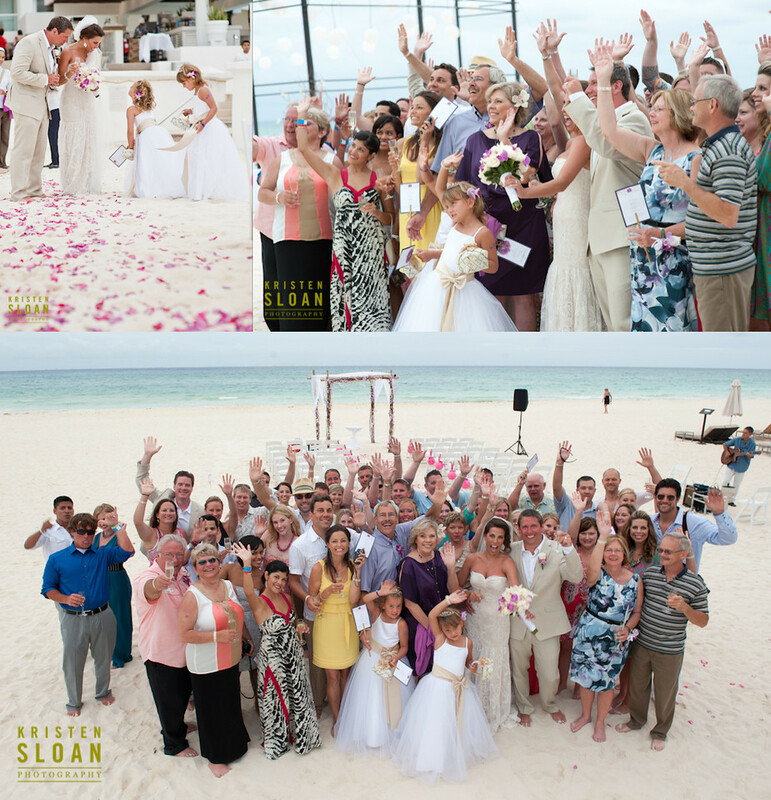 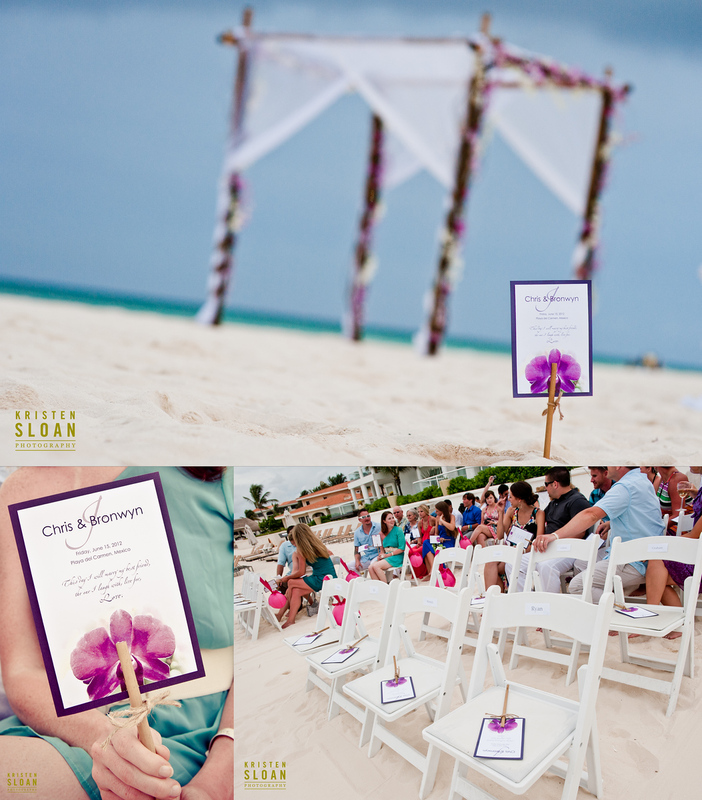 They selected Playacar Palace in Playa del Carmen Mexico to host their wedding. 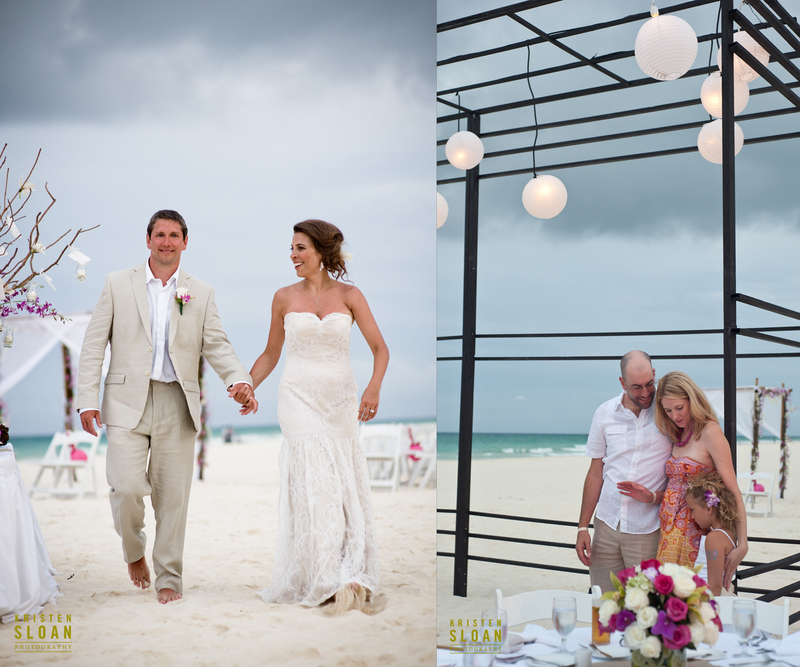 Playacar Palace All inclusive Resort offers 4 star accommodations with modern architecture, a variety of excellent dining options in their restaurants, a beautiful pool, sweeping views of the Caribbean, and is conveniently located at the southern end of the Playa del Carmen village. 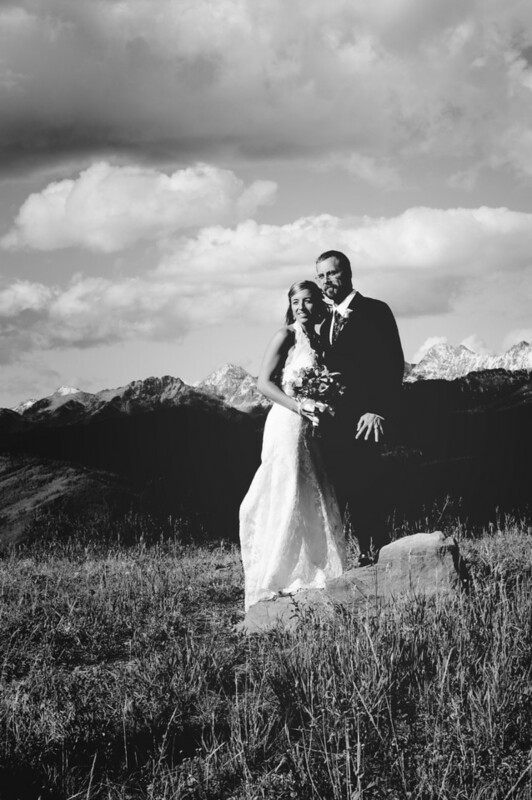 Bronwyn and Chris are lucky to reside in the mountains of Colorado and as beautiful as a mountain wedding is, they wanted the sand beneath their toes and the gorgeous ocean on the horizon. 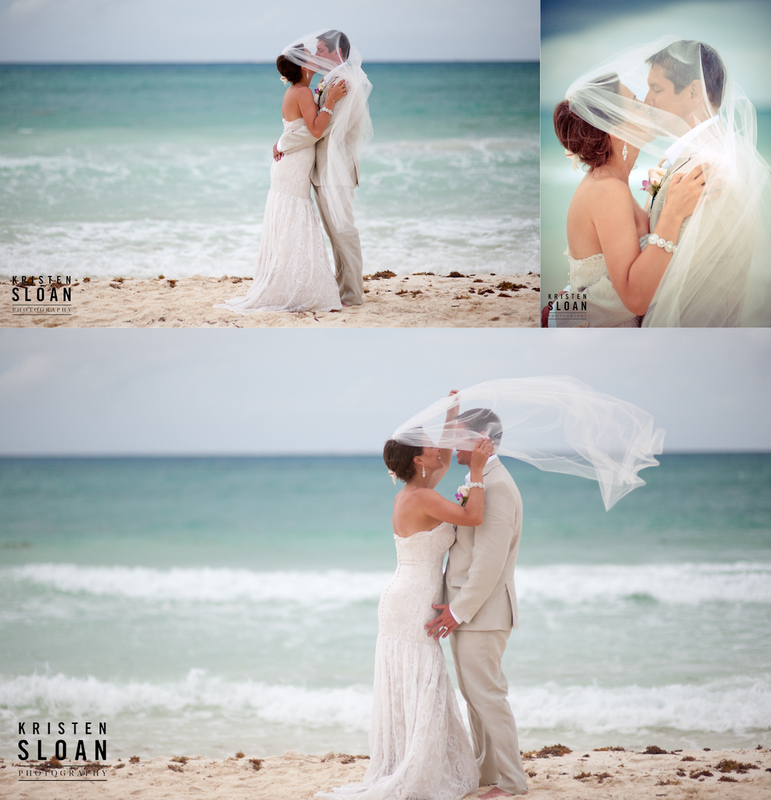 We started the wedding day photographing Bronwyn in her suite and on its balcony overlooking the Caribbean. 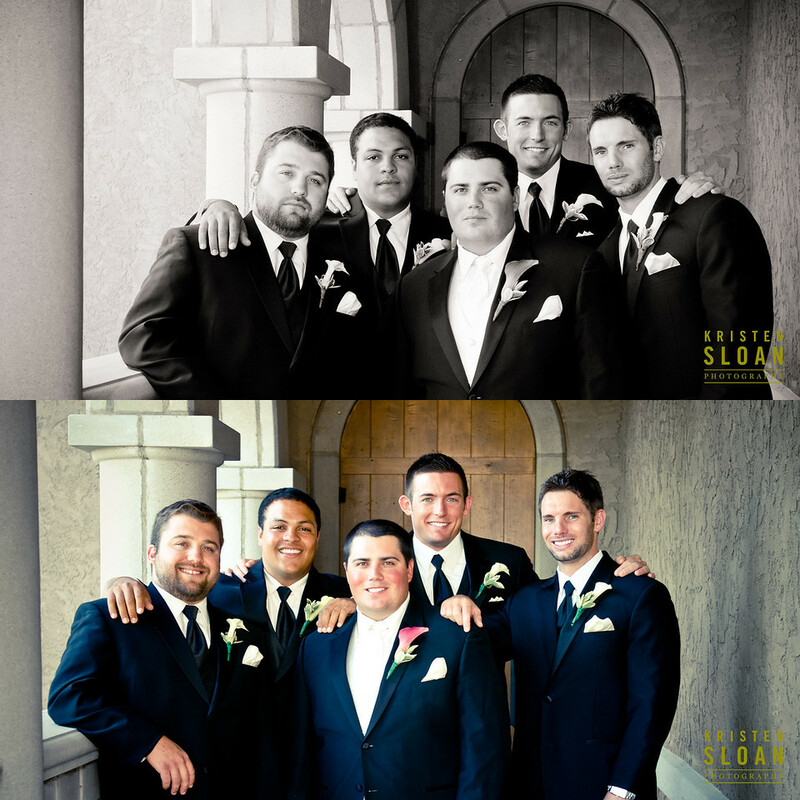 We exposed for natural light, but adding off camera fill light from SaberStrips. 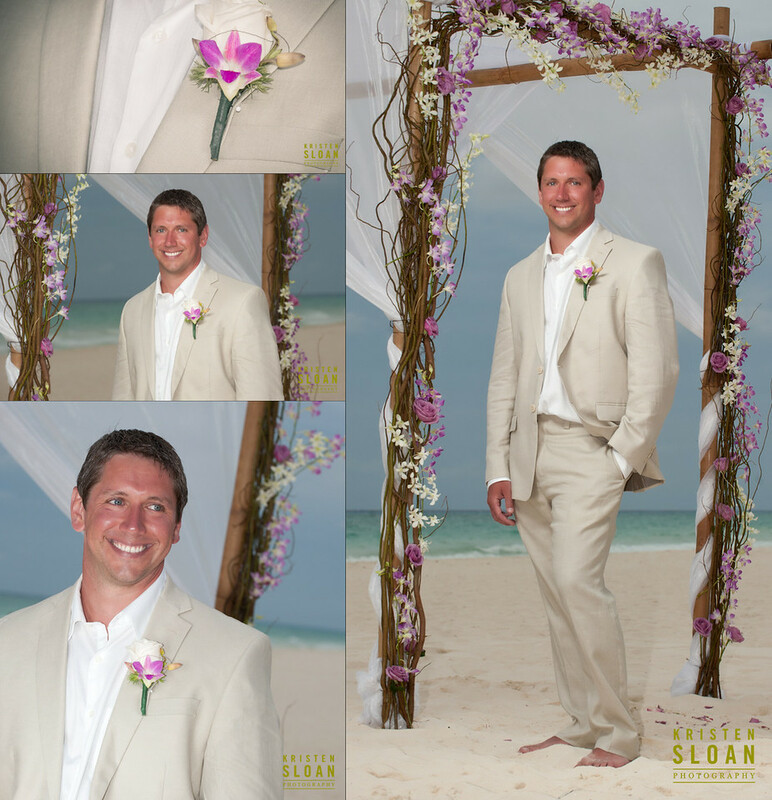 We met Chris on the beach before the ceremony to photograph him with his parents in front of the couples custom made ceremony arch, designed by local Playa del Carmen florist Marvin José Ku Kinil of Maya Floral. 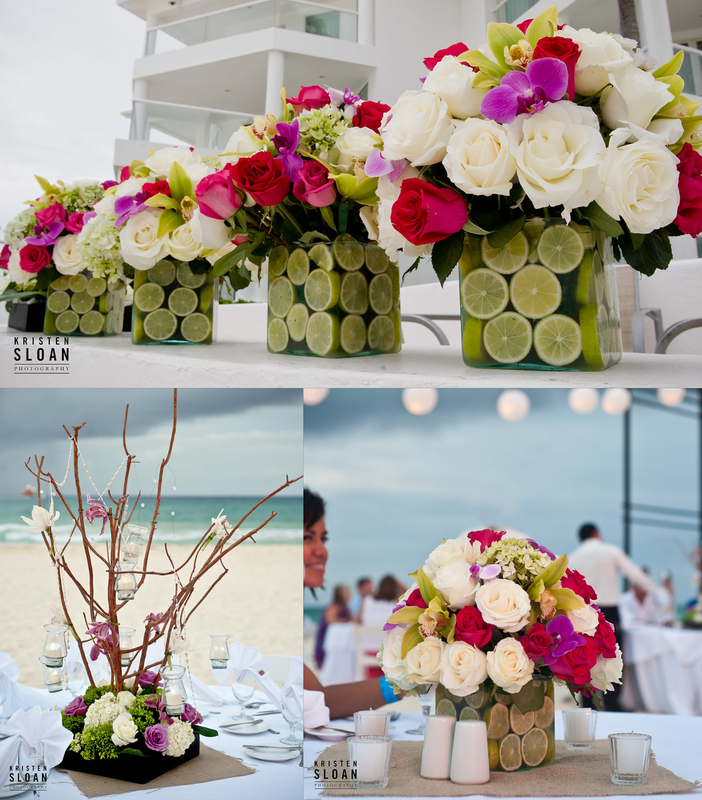 Wedding Floral design by Marvin José Ku Kinil of Maya Flora, a local florist located in Playa del Carmen Mexico. 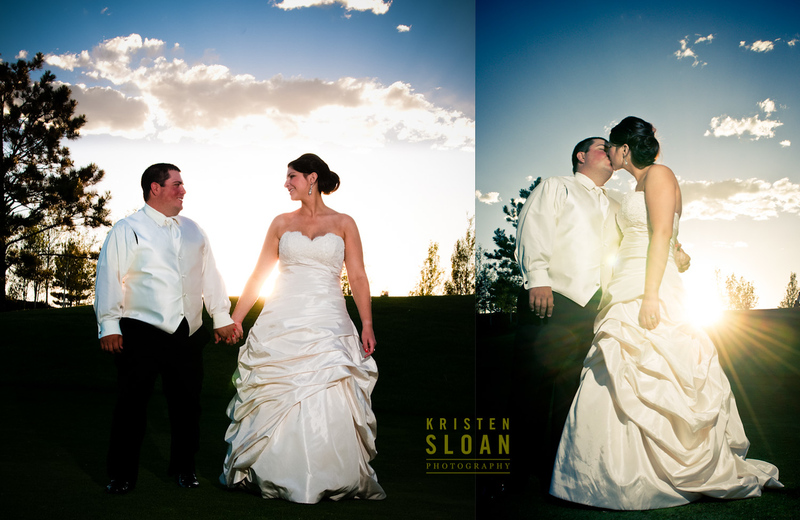 Art Silk and Kristen Sloan photographed Shannon and Mark’s wedding day at Cherry Creek Country Club in Denver Colorado on a beautiful warm and sunny June day. 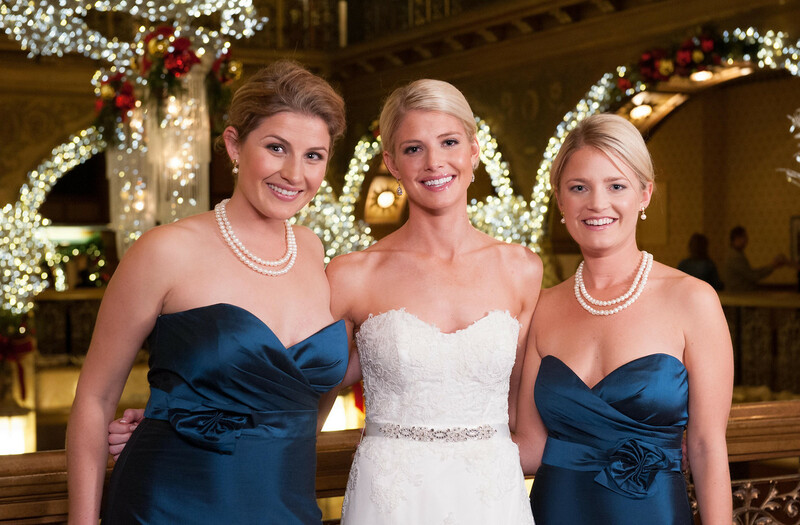 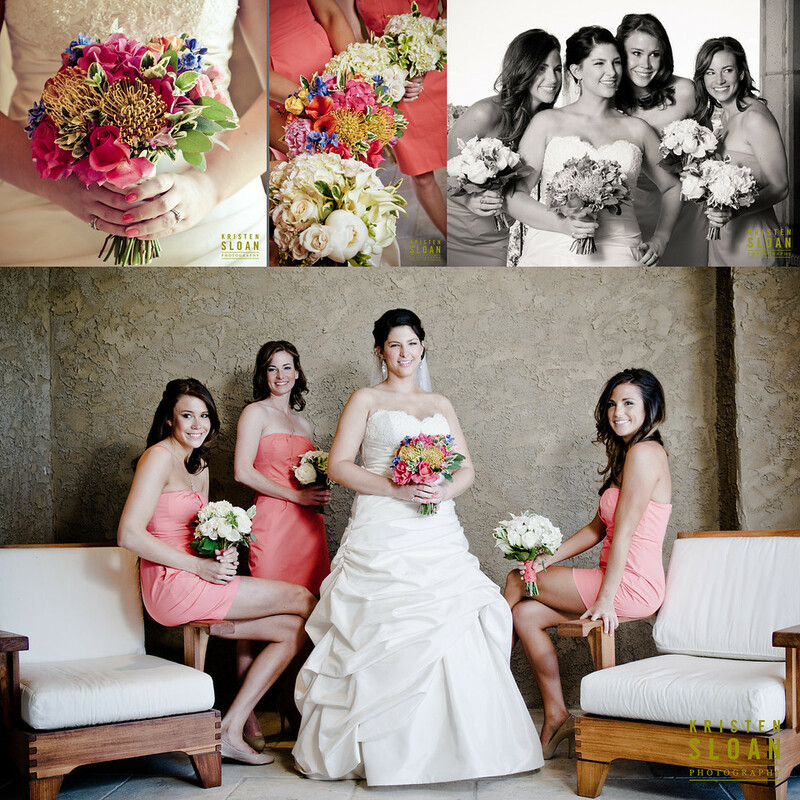 Shannon and her bridesmaids prepared their hair and makeup in the gorgeous upstairs women’s locker room lounge; a dream location to shoot in. 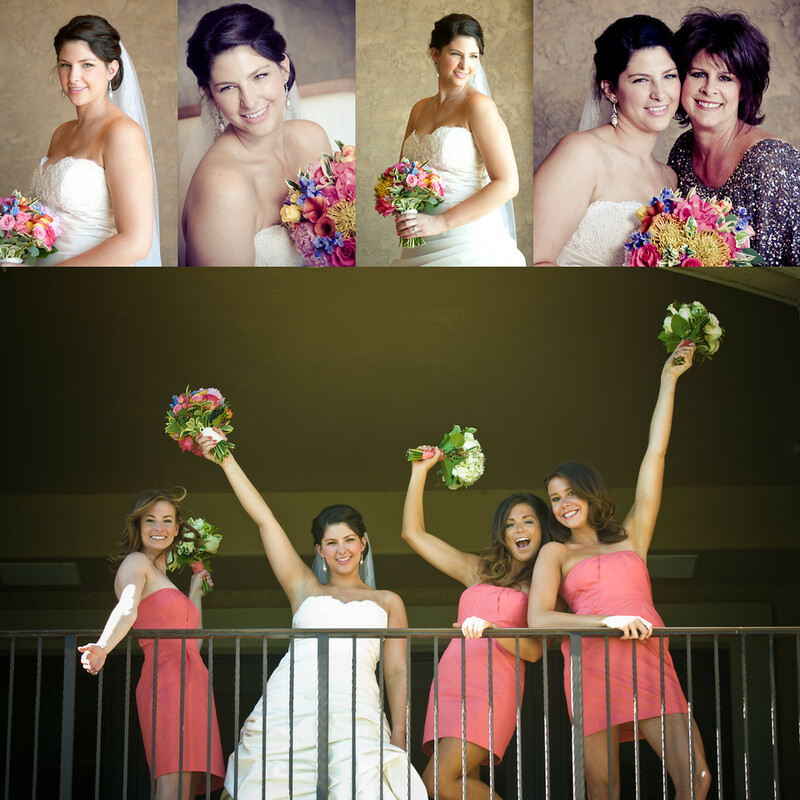 Directly off of this lounge, we photographed the ladies on a covered balcony that provided beautiful natural light that we supplemented with diffused off camera flash. 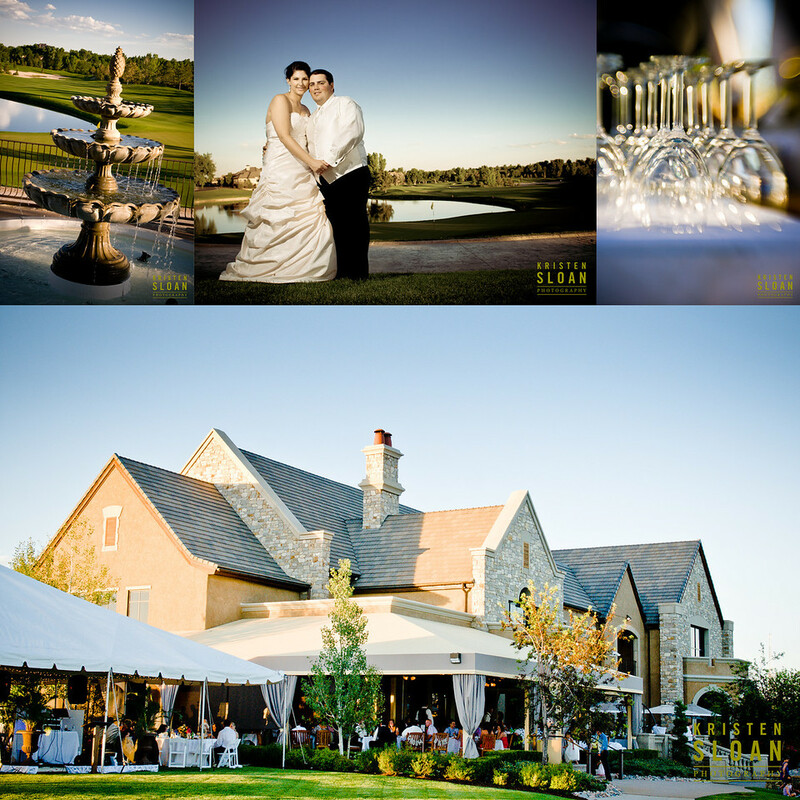 Earlier Shannon and I had met to do a walk through at Cherry Creek Country Club, and I fell in love with the interior spaces of the clubhouse. 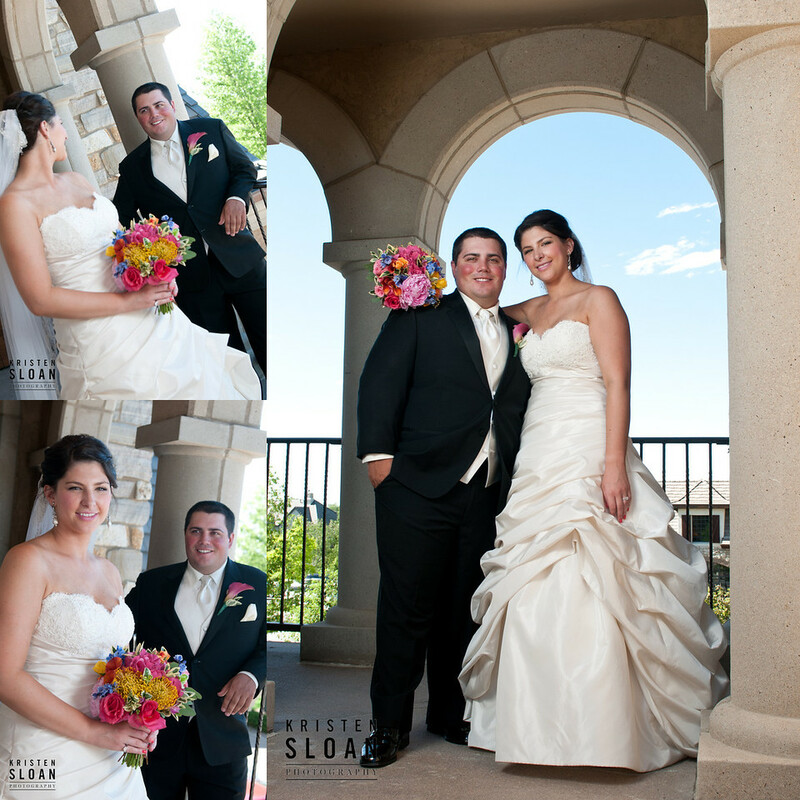 Later we explored the exterior covered alcoves and balconies, which kept us shaded on their wedding day, provided filtered natural light and interesting architectural backgrounds. 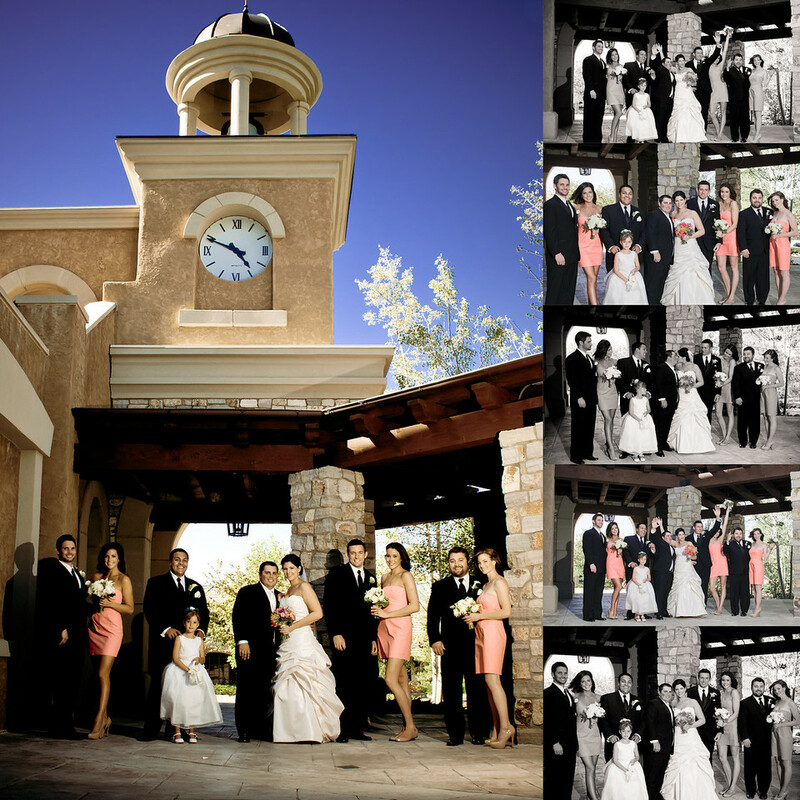 Location wise, Cherry Creek Country Club is one of the prettiest clubhouses I have photographed. 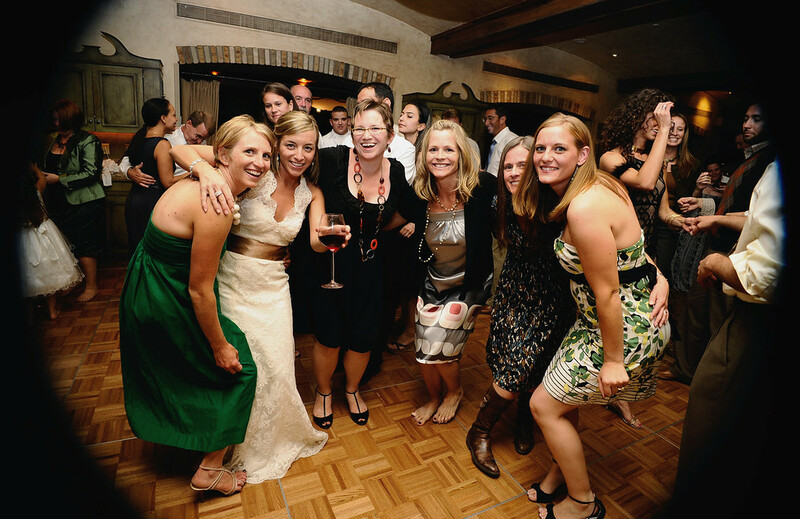 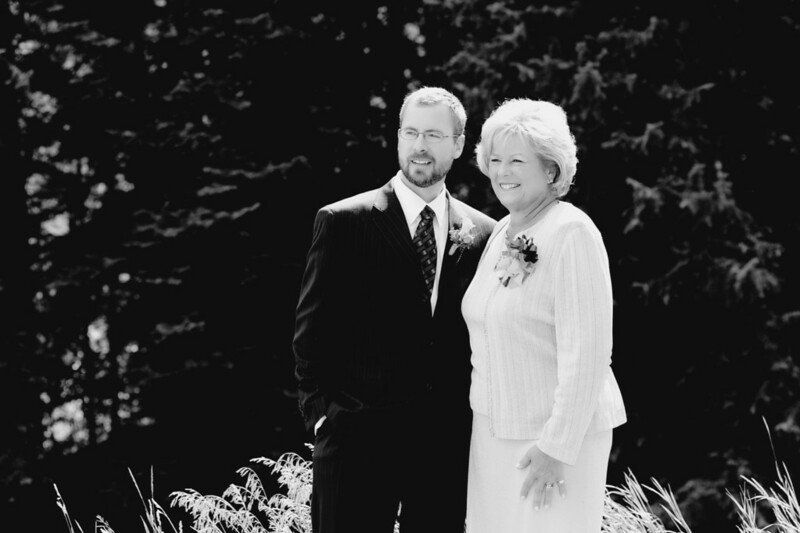 Jan Hardy, the social director at the Cherry Creek Country Club was one of the nicest event coordinators to work with. 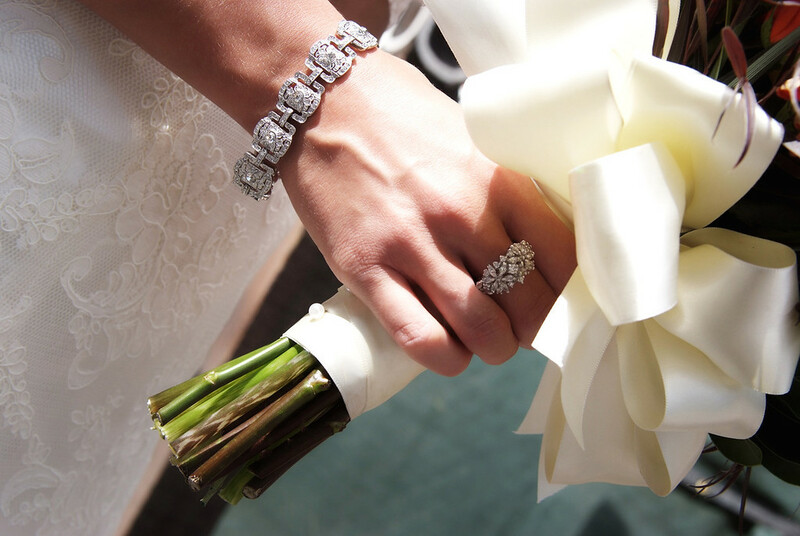 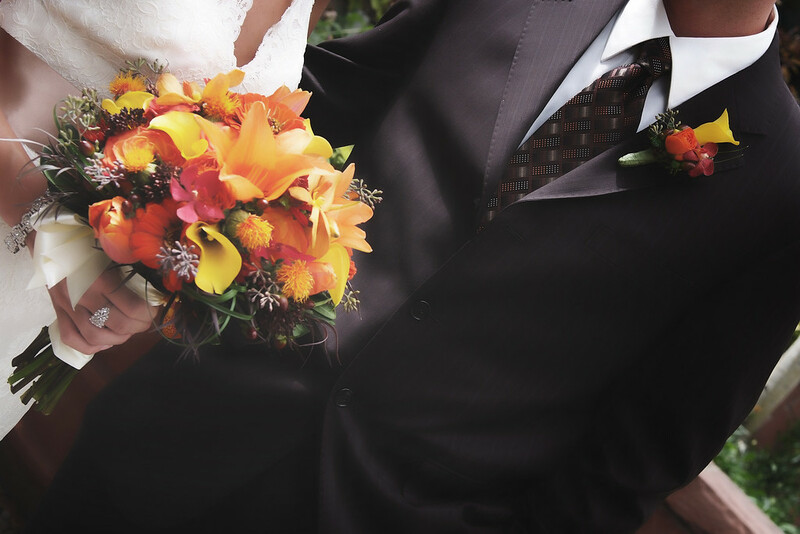 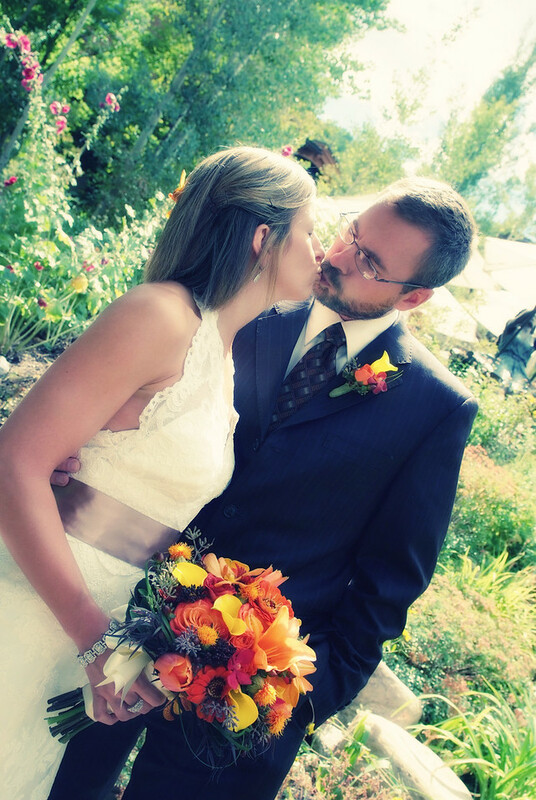 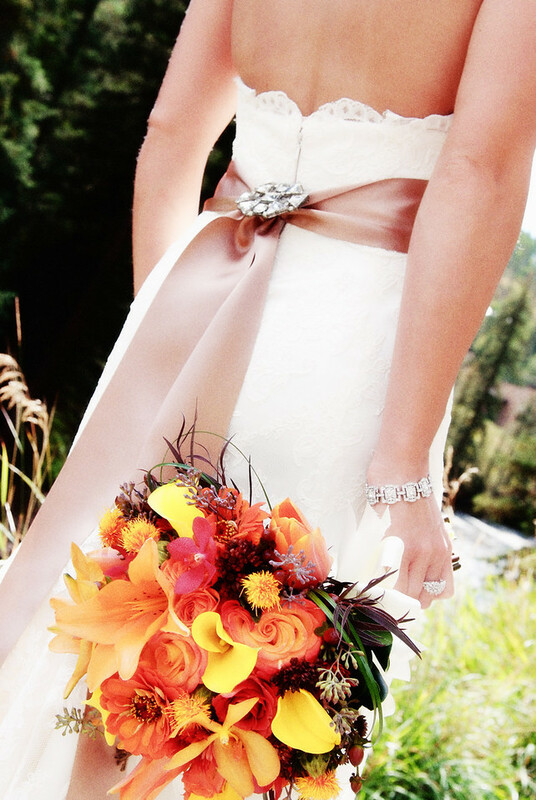 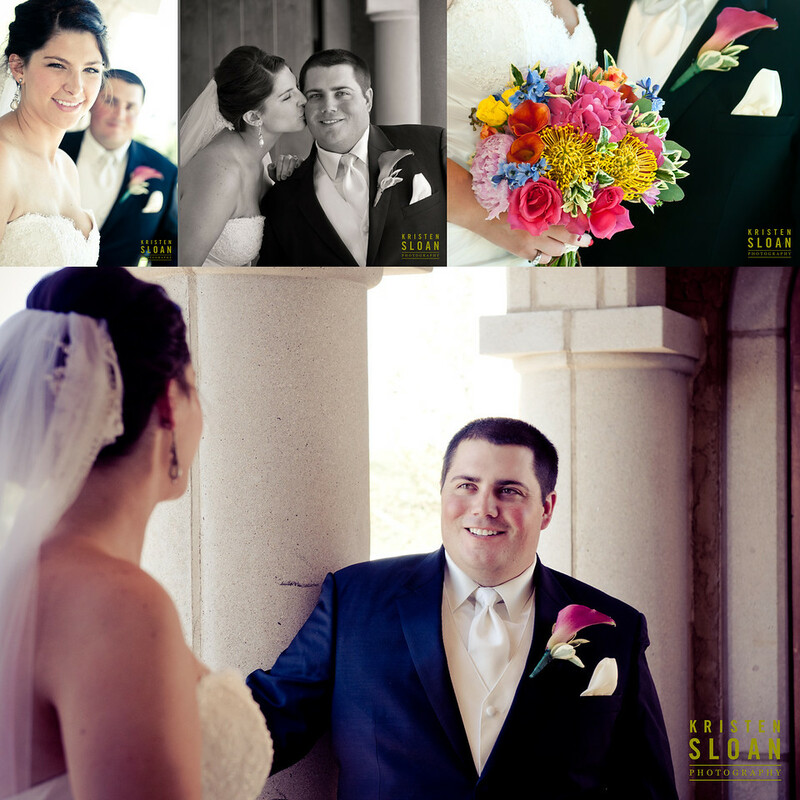 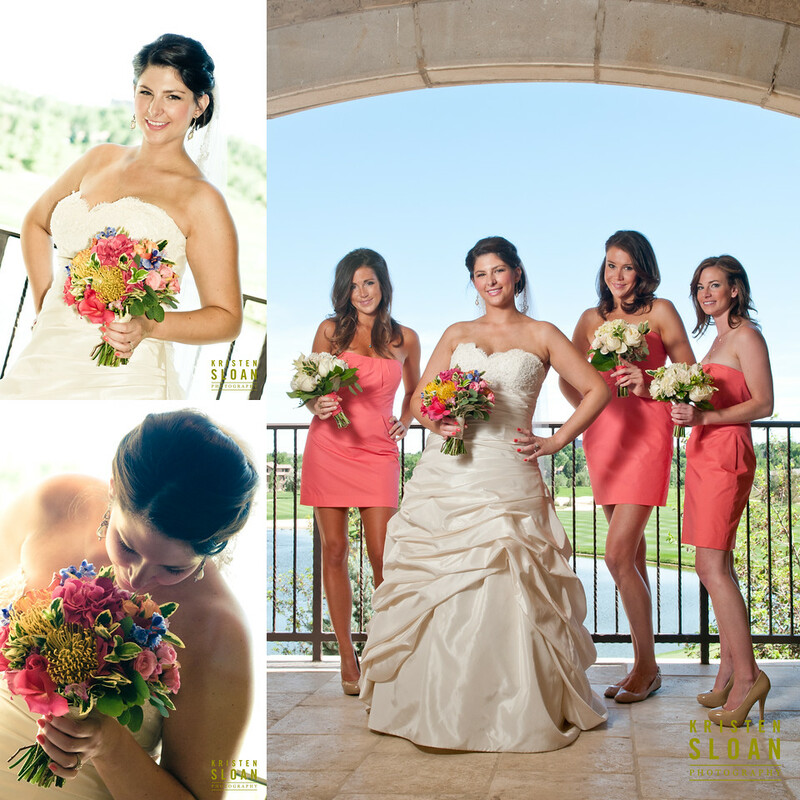 Bonnie Brae Flowers created the bouquets and flower decor for this wedding. 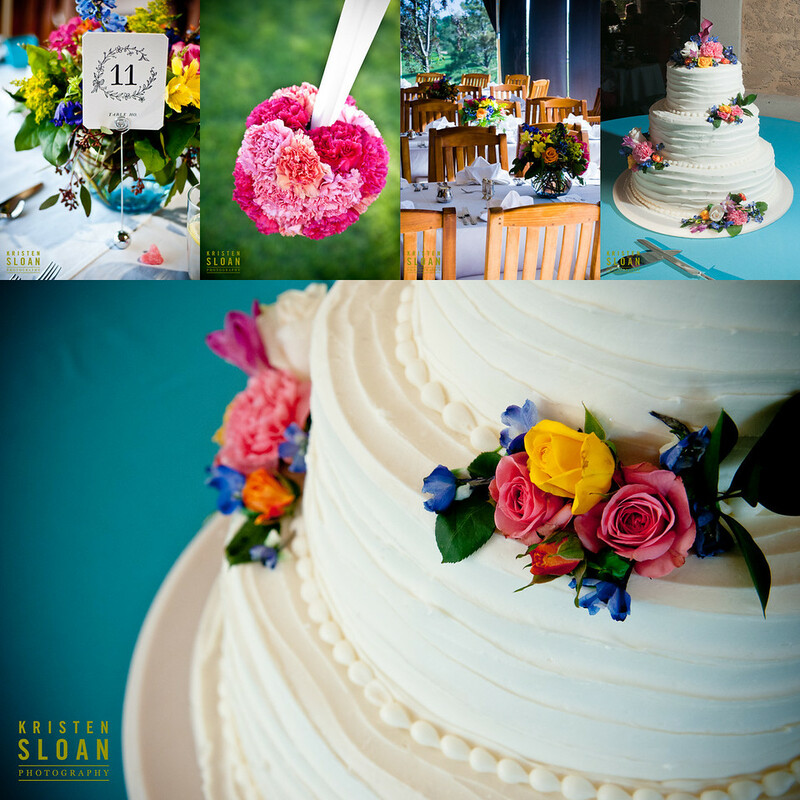 Das Meyer Pastry of Arvada, Colorado made the wedding cake. 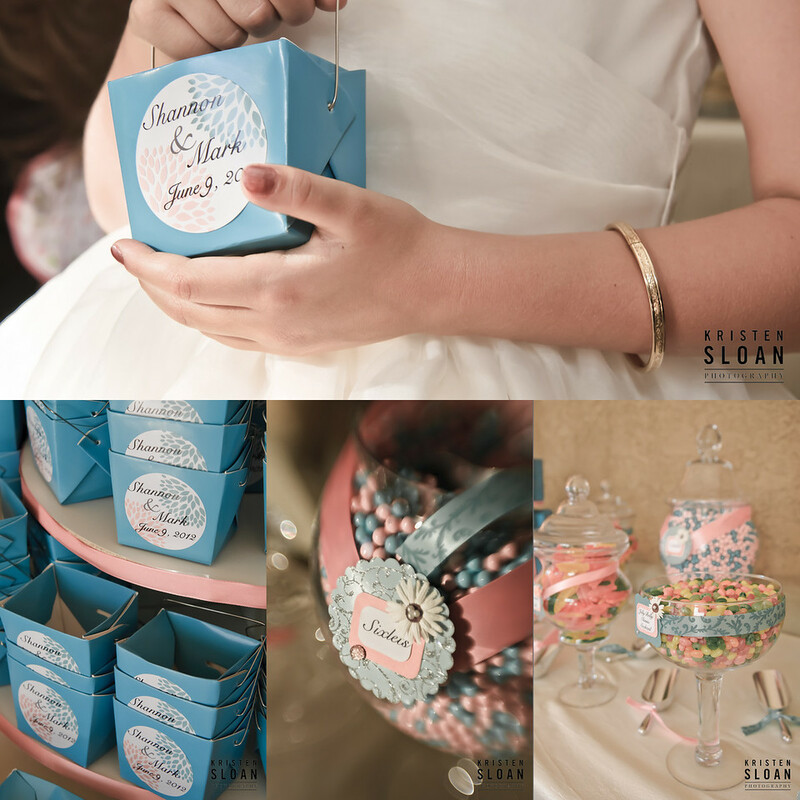 Sugarlicious, located in Cherry Creek North Denver Colorado, created a candy bar which allowed the wedding guests to make custom boxes of candy to enjoy at the wedding and take home as favors. 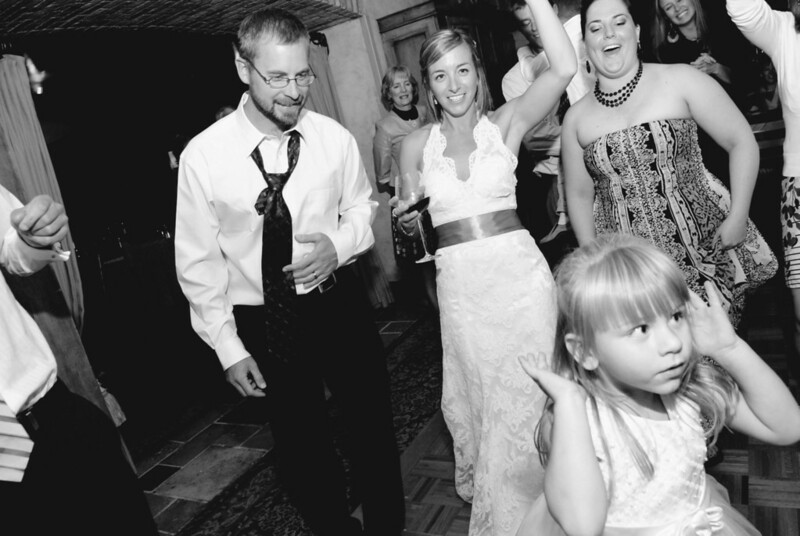 Elite DJ Matt Kenfield kept the dancing going strong well into the night. 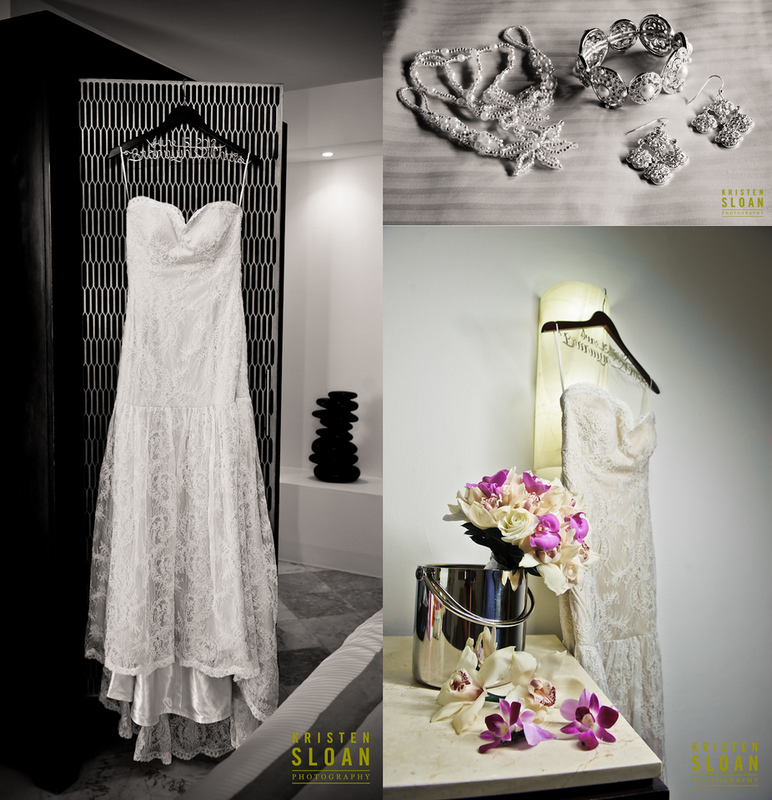 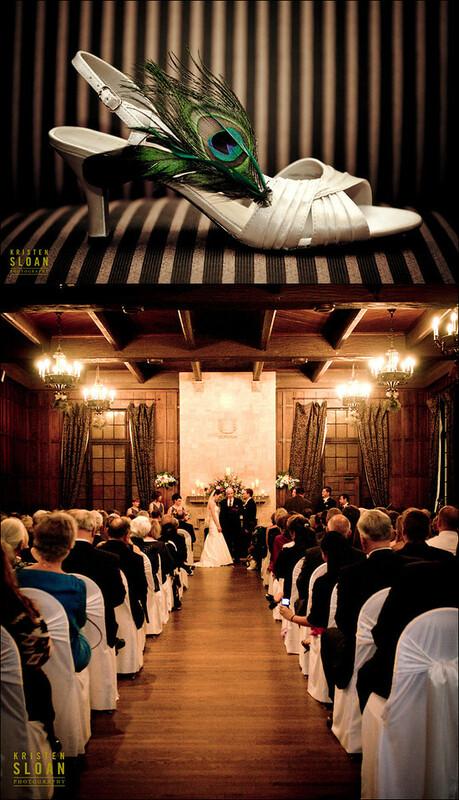 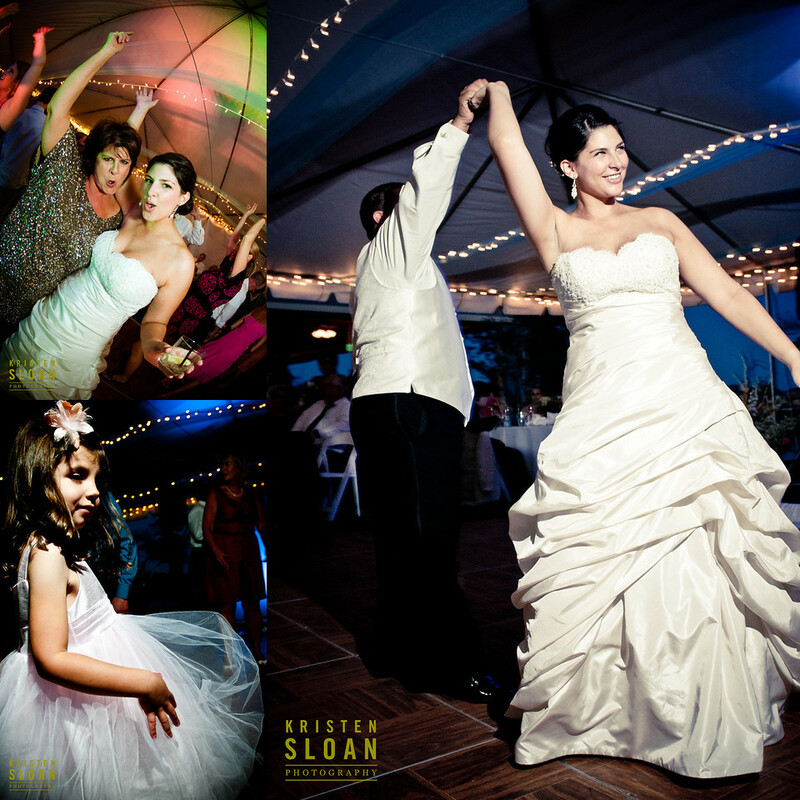 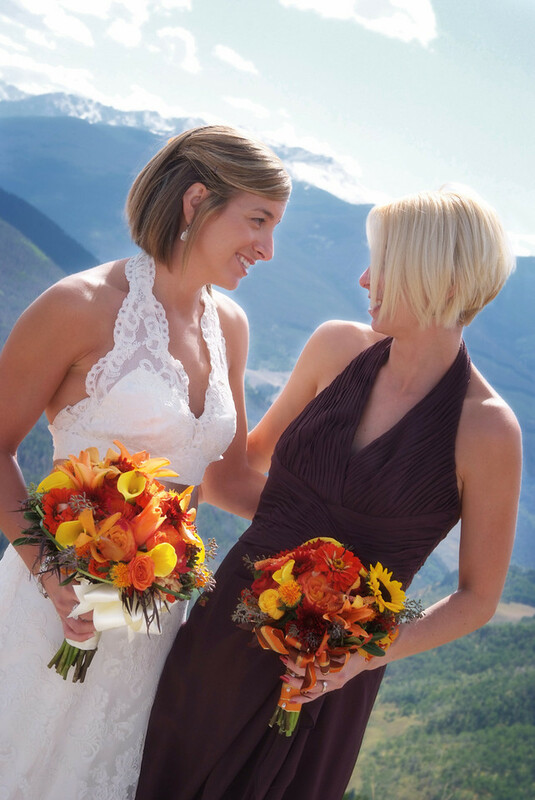 Art Silk and Kristen Sloan photographed Courtney and Scott’s Vail Colorado Mountaintop wedding on a beautiful September day. 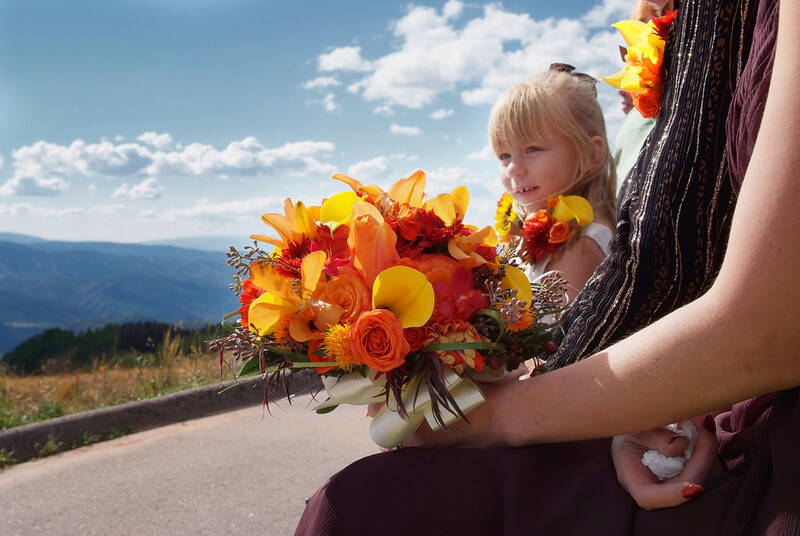 The flowers and wedding decor reflected fall in the Rocky Mountains, but the weather was so warm that it felt like summer. 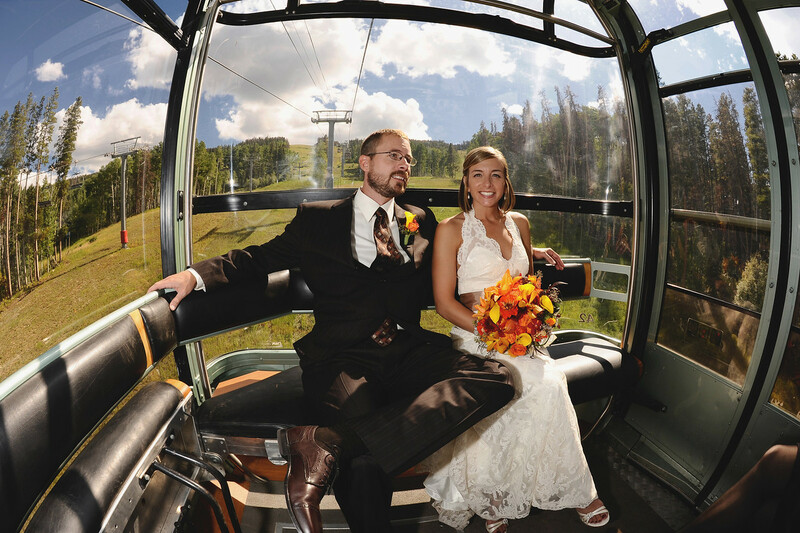 The couple wanted to be photographed on Vail mountain for their engagement portrait session during the summer. 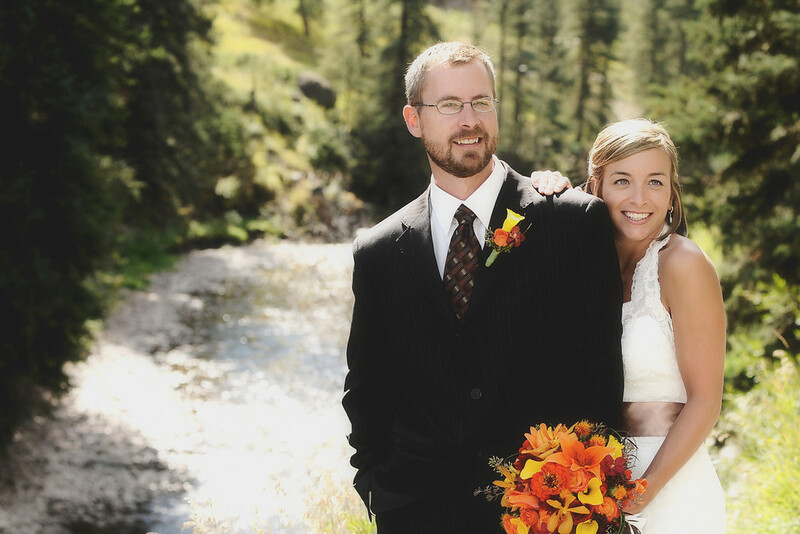 Courtney and Scott are avid hikers, and the field below their wedding ceremony on Vail mountain proved to be a perfect location for this photo session. 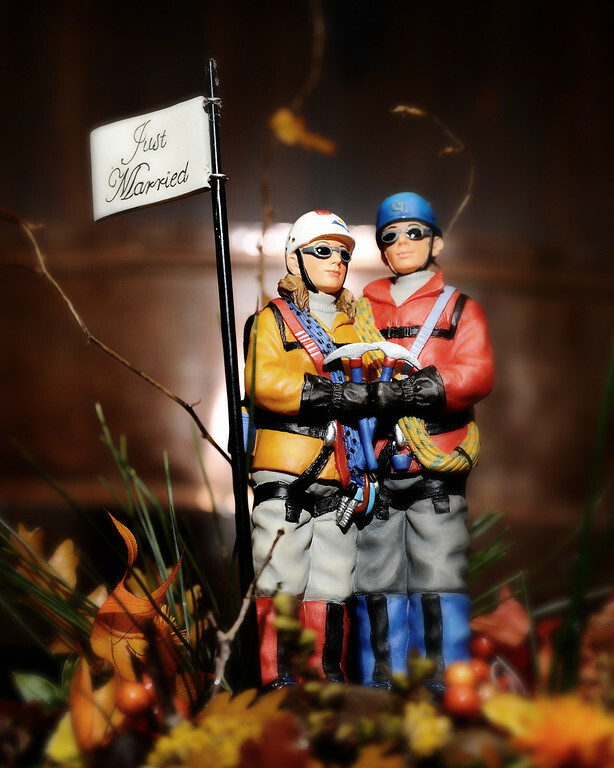 At the wedding, their cupcake topper also featured mountaineering hikers! 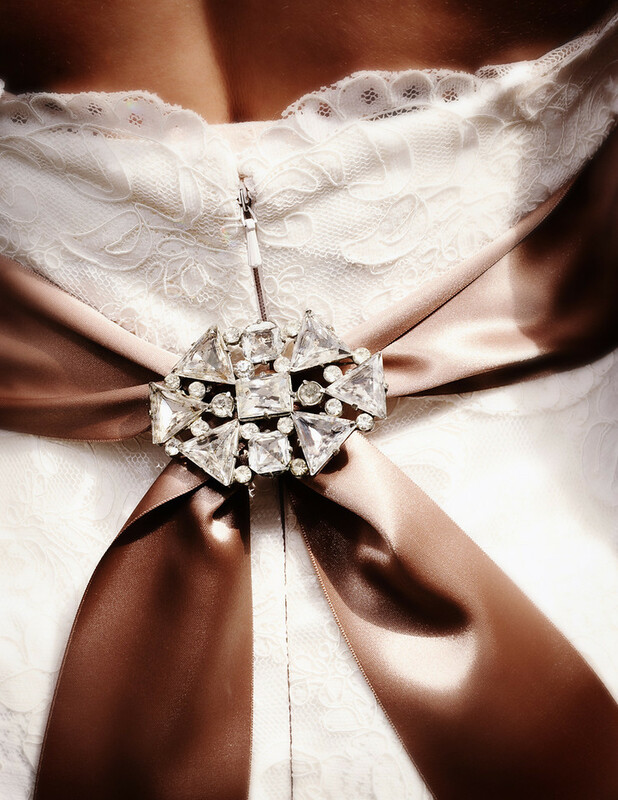 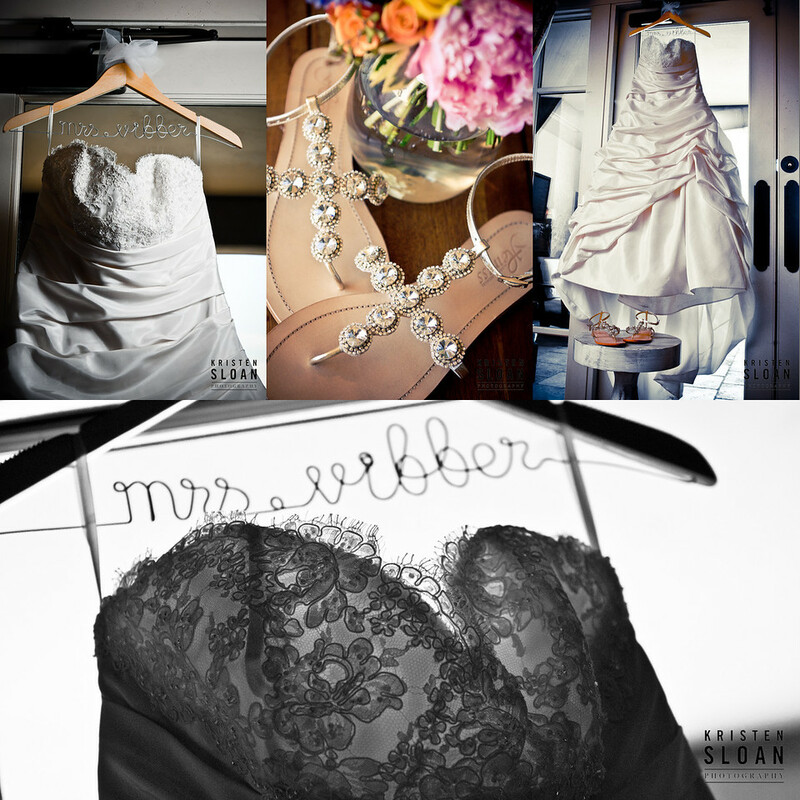 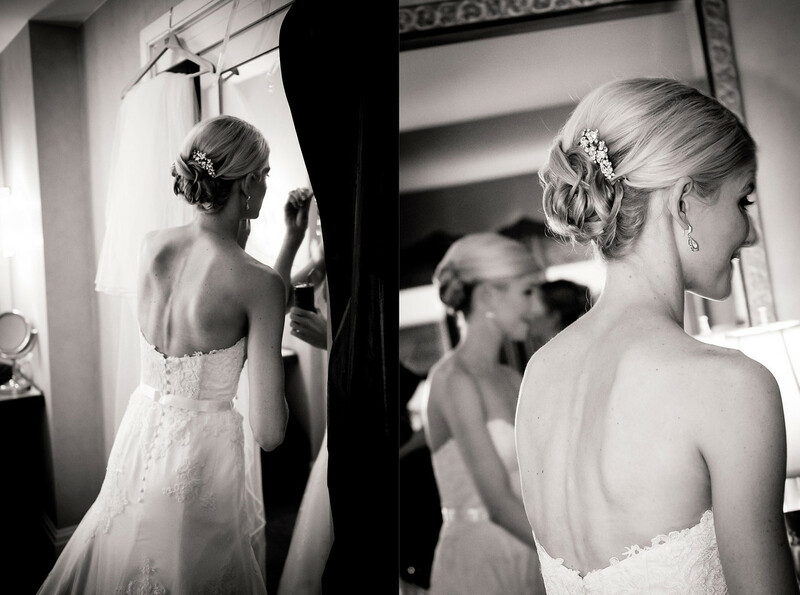 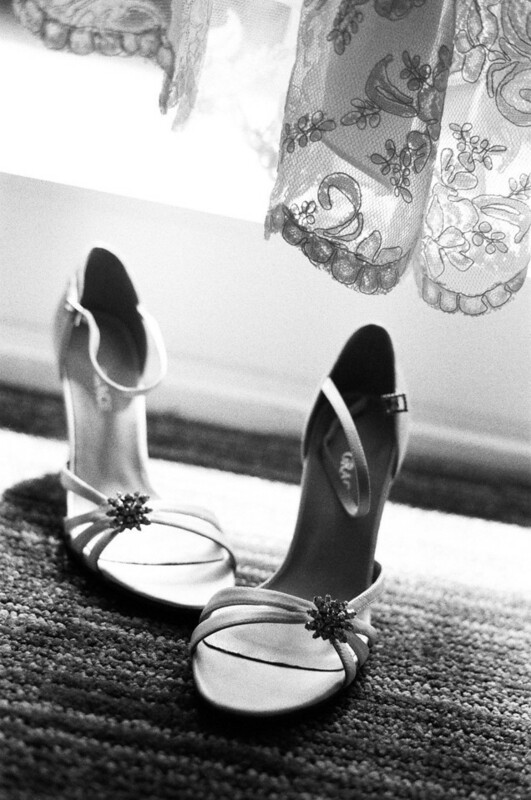 We started photographing the bride getting ready in her room at The Lodge at Vail. 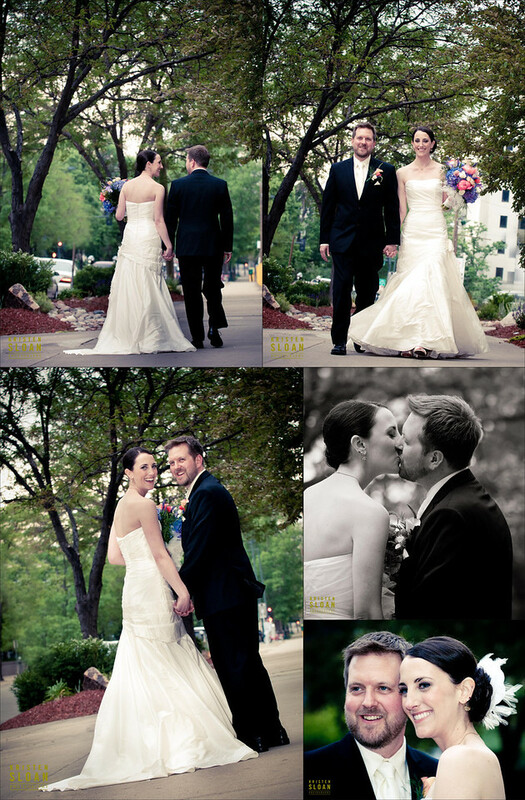 Courtney and Scott decided to see each other before the ceremony and we photographed them walking through Vail Village and along the Gore Creek. 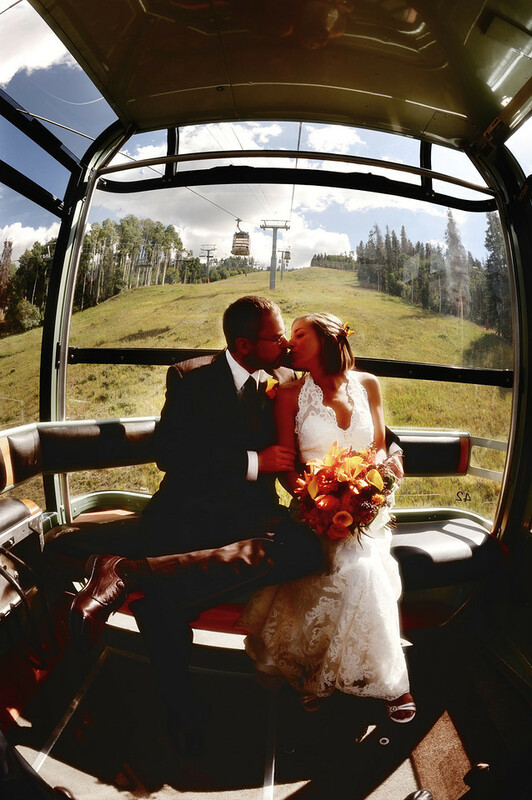 The wedding ceremony was held at the top of Vail mountain at an outdoor stone ampitheatre which is accessed by the Eagle Bahn Gondola. 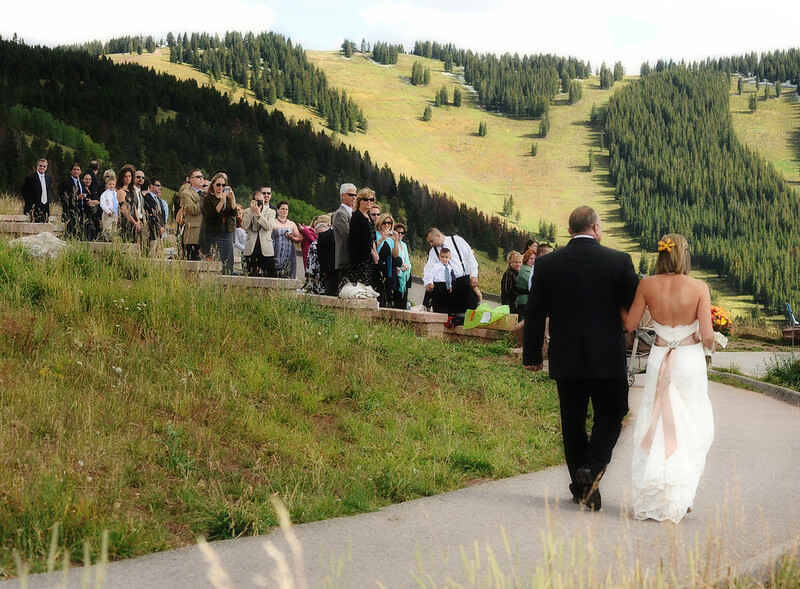 The ceremony site offers amazing views of the Vail valley, Gore Mountain Range, and Mount of the Holy Cross, with seating for up to 180 people. 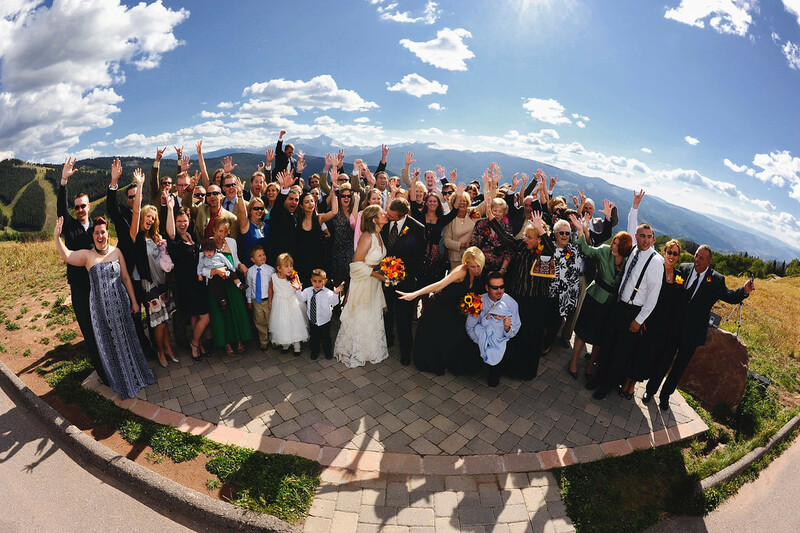 The Lodge at Vail hosted their reception at the Cucina Rustica restaurant.